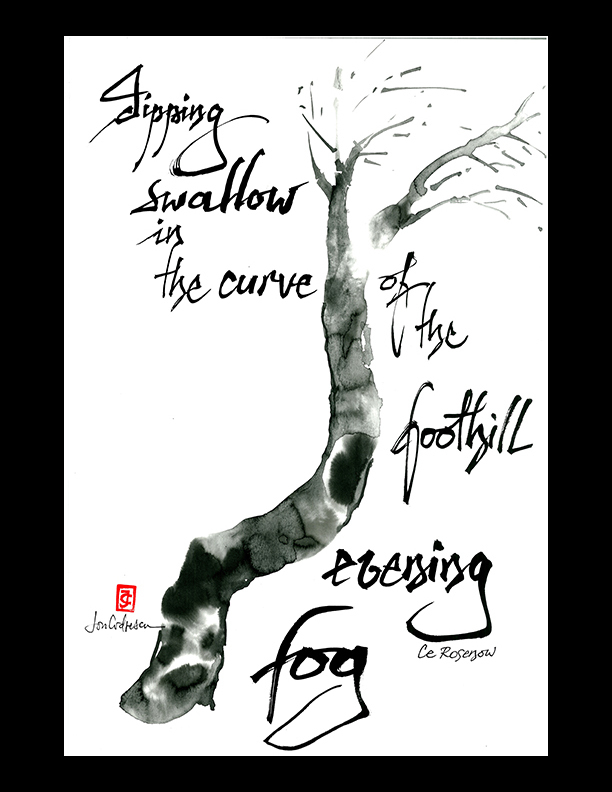 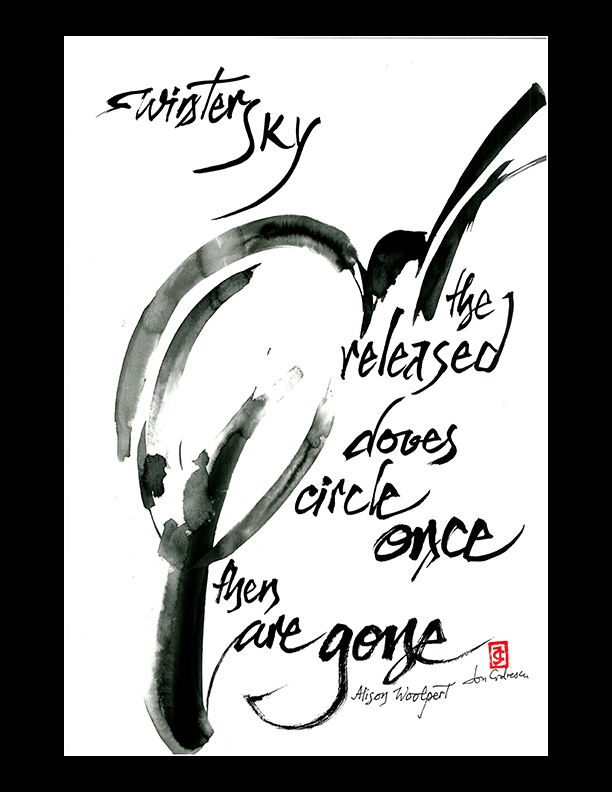 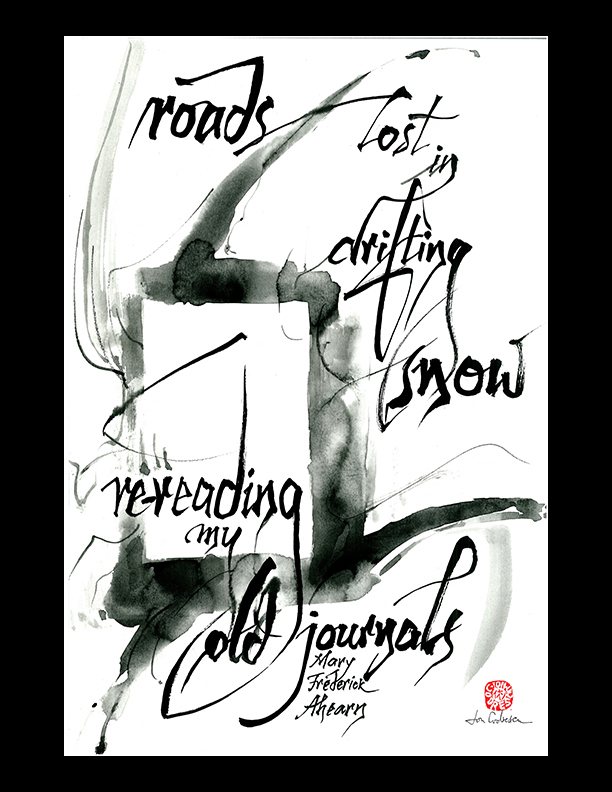 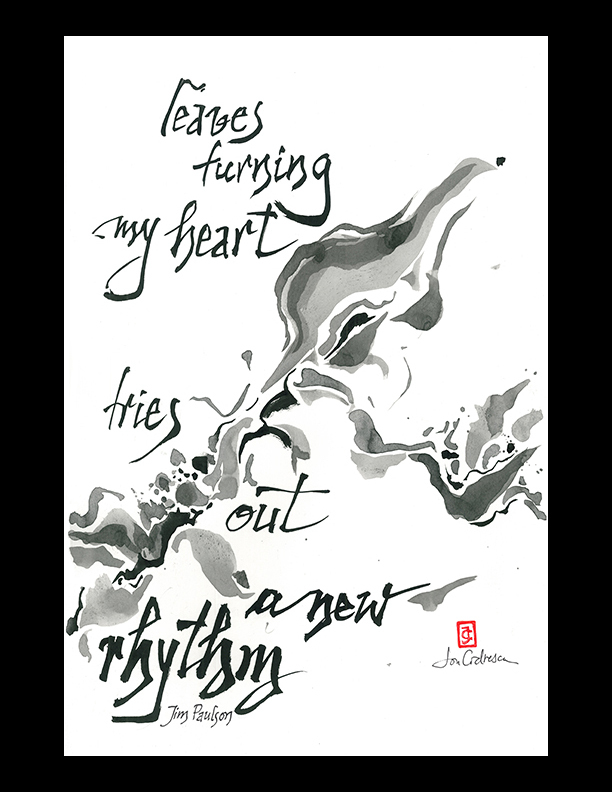 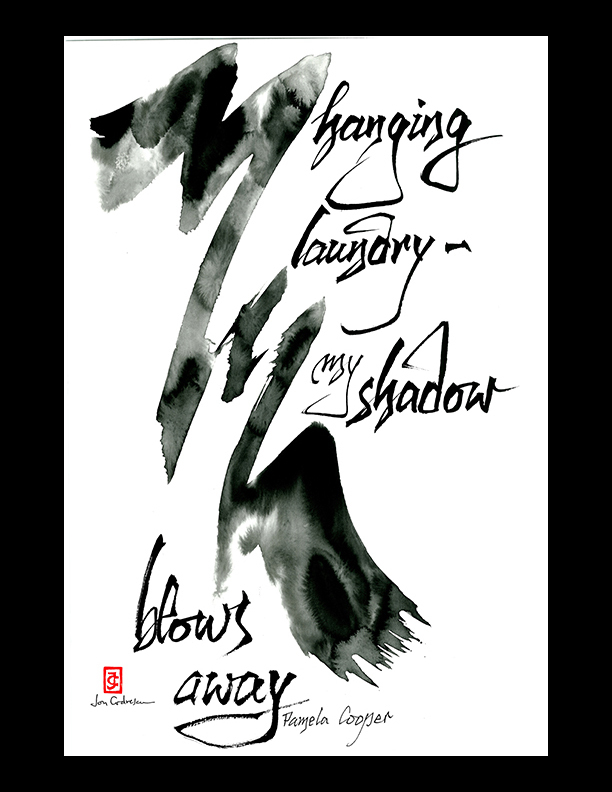 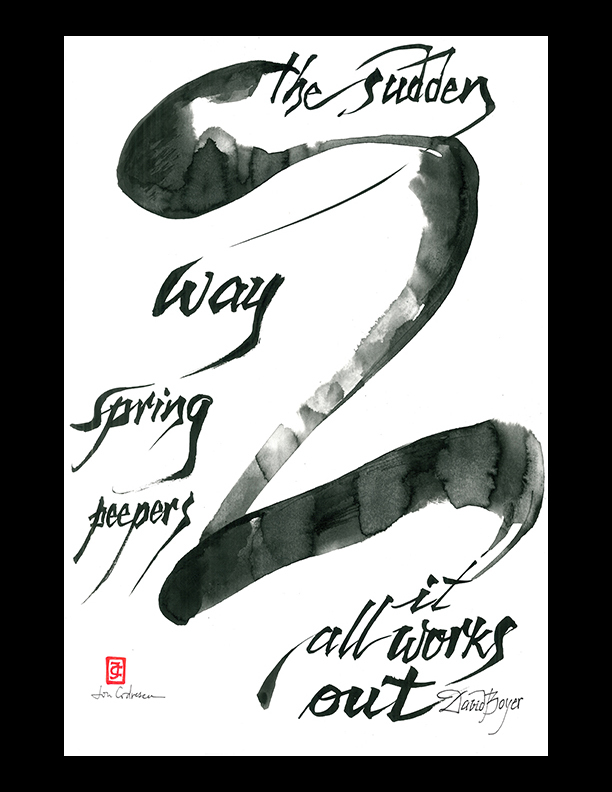 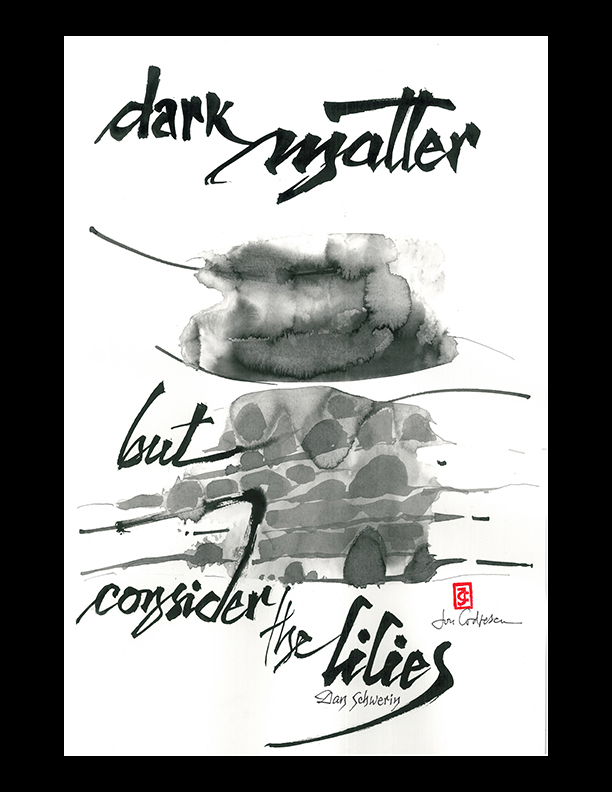 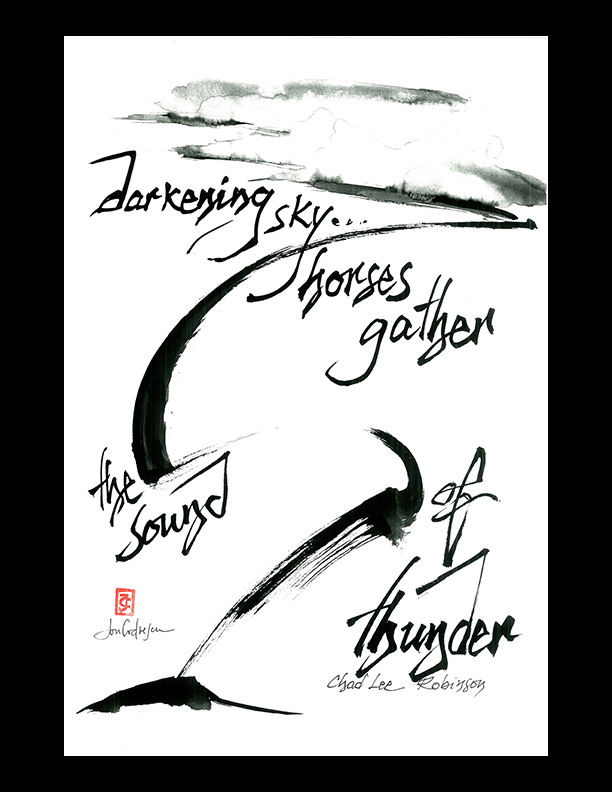 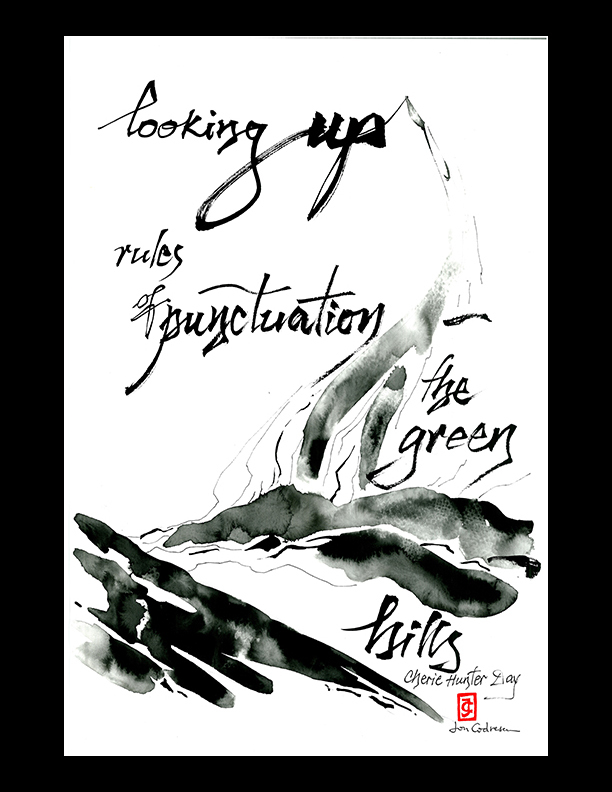 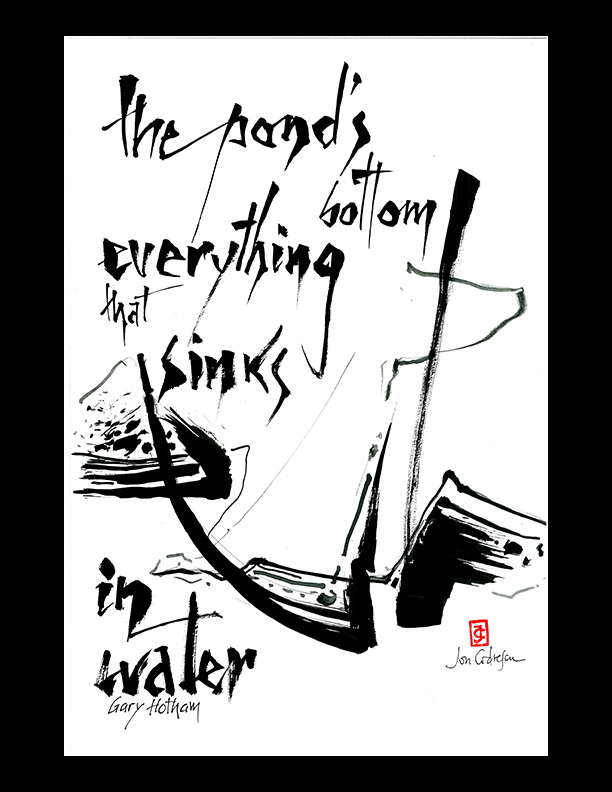 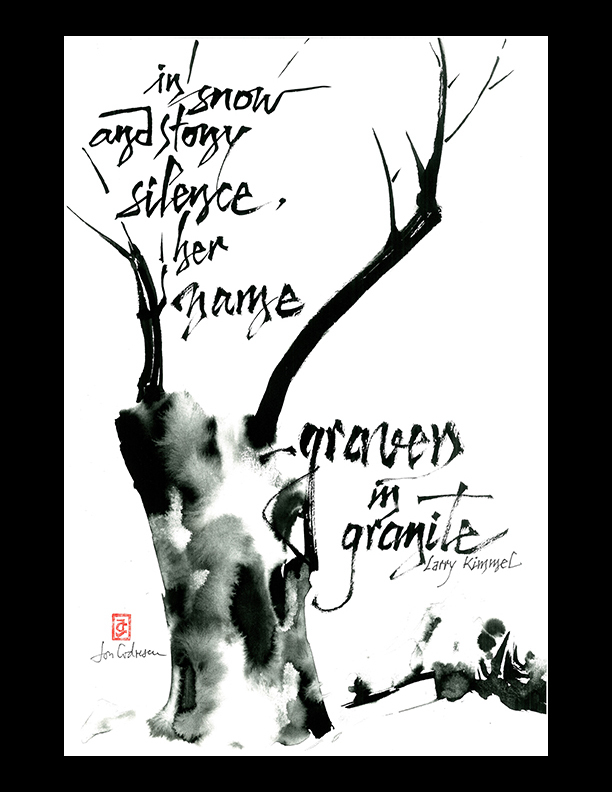 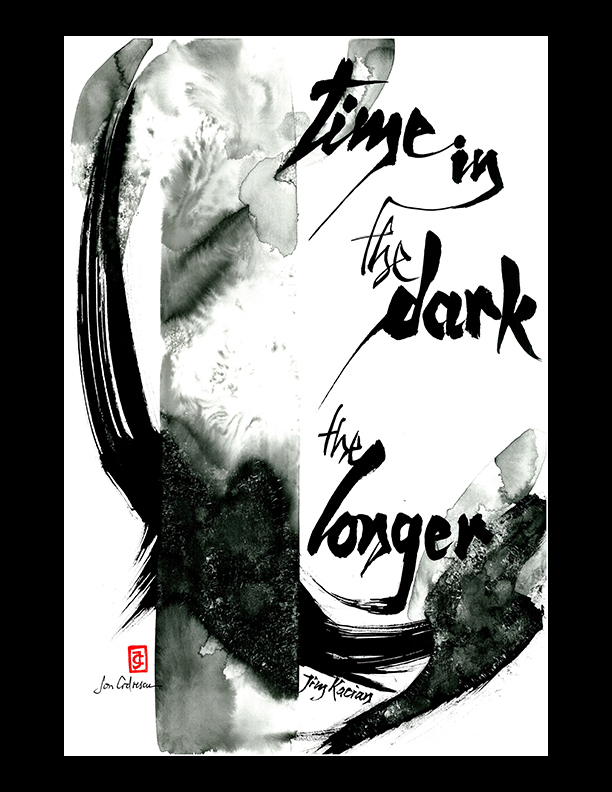 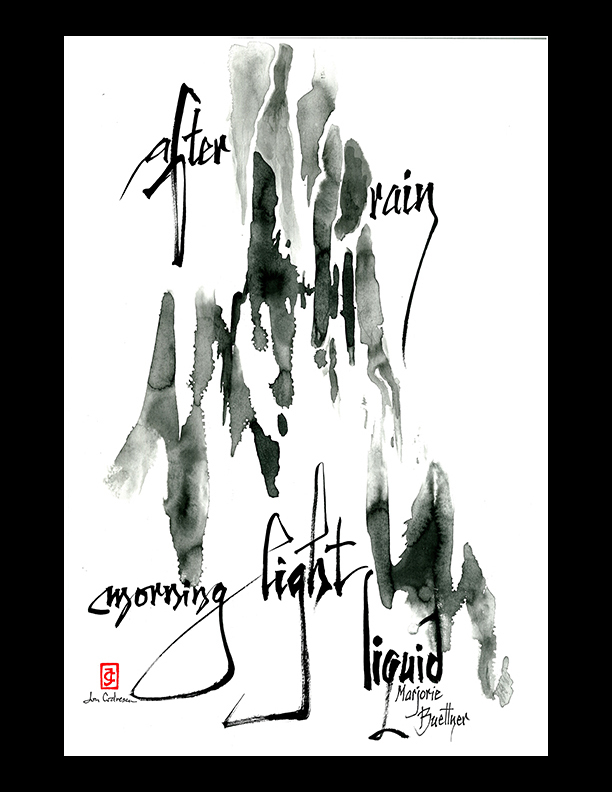 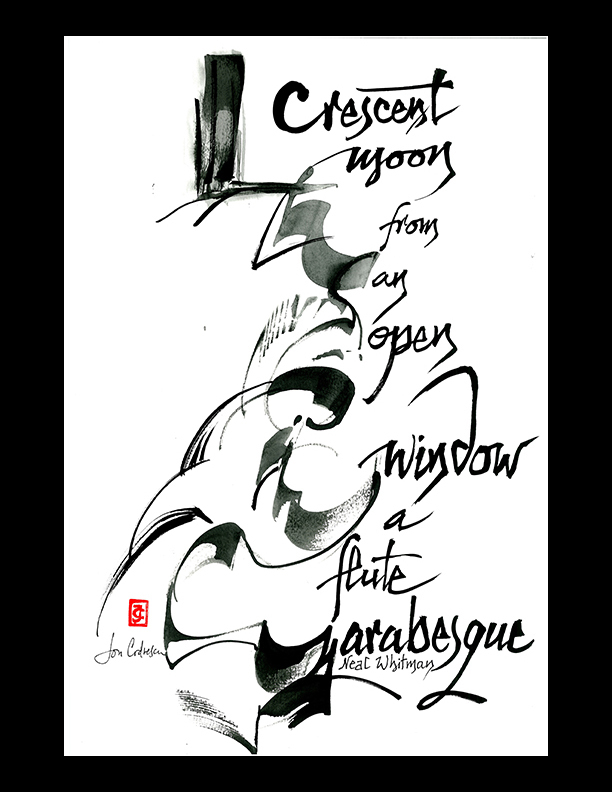 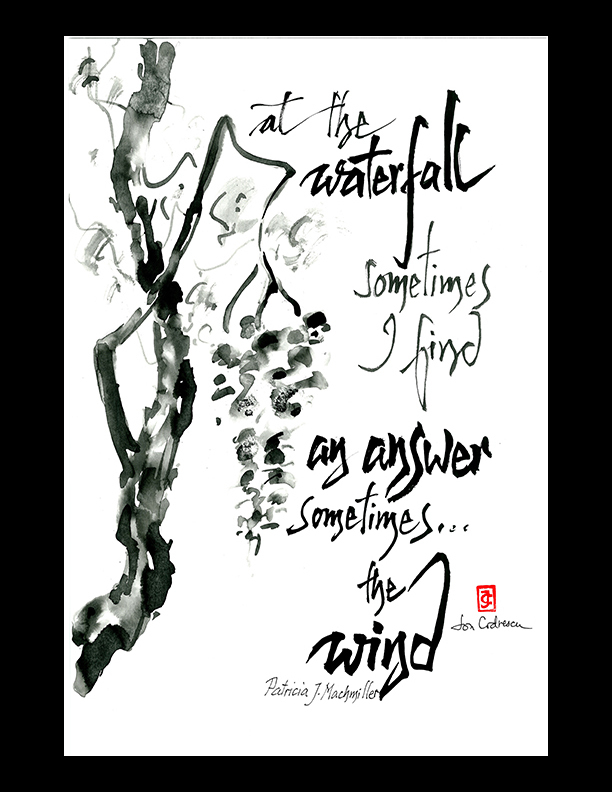 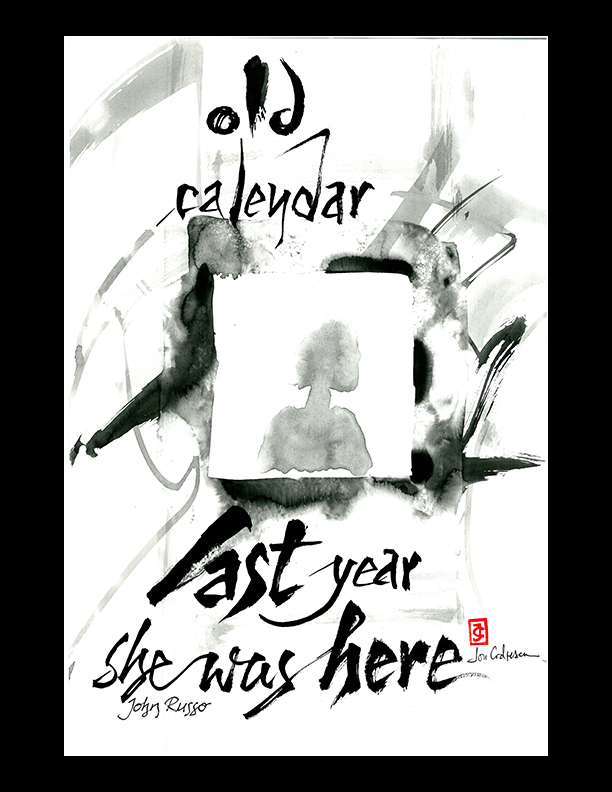 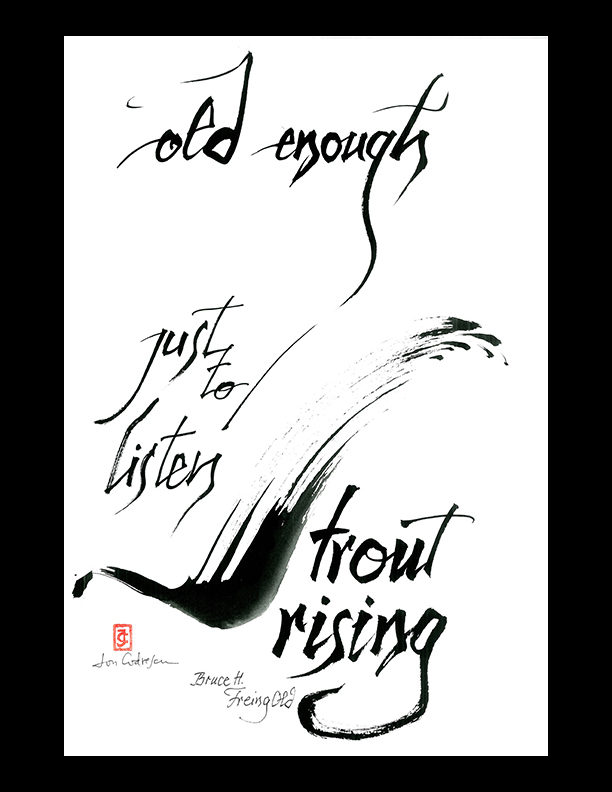 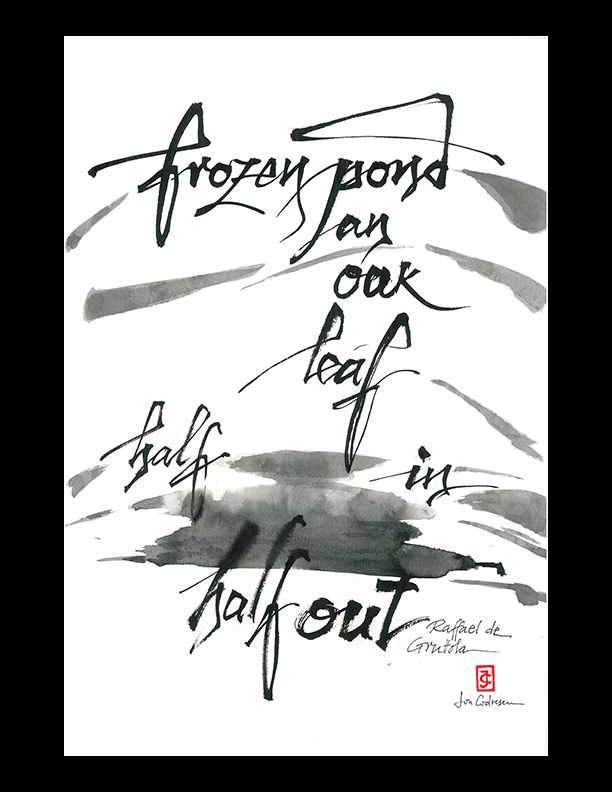 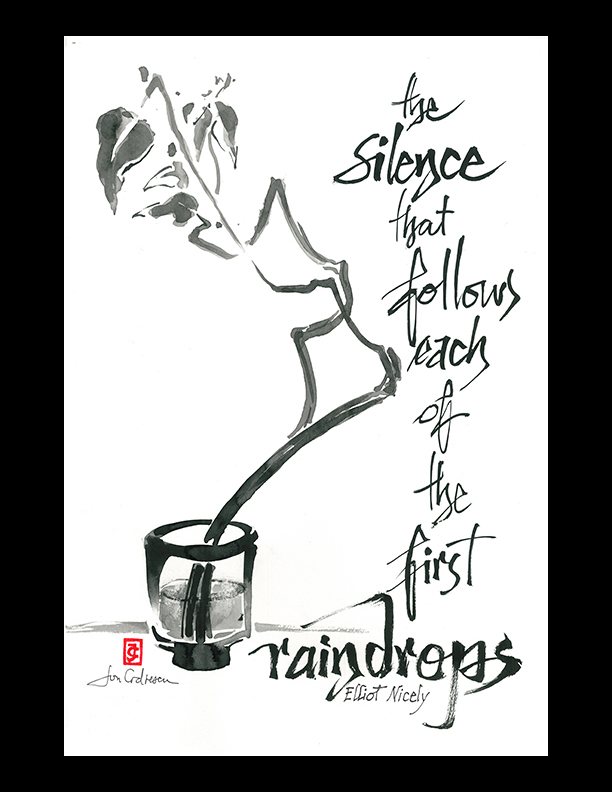 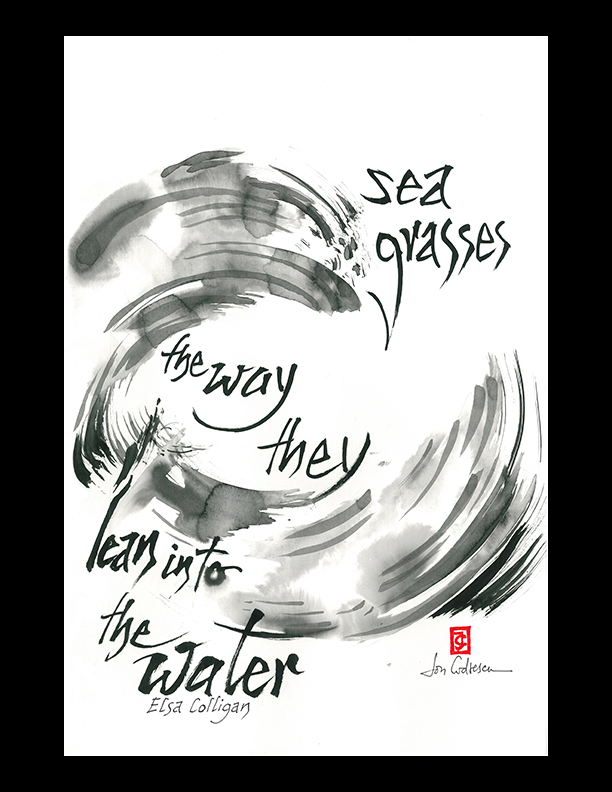 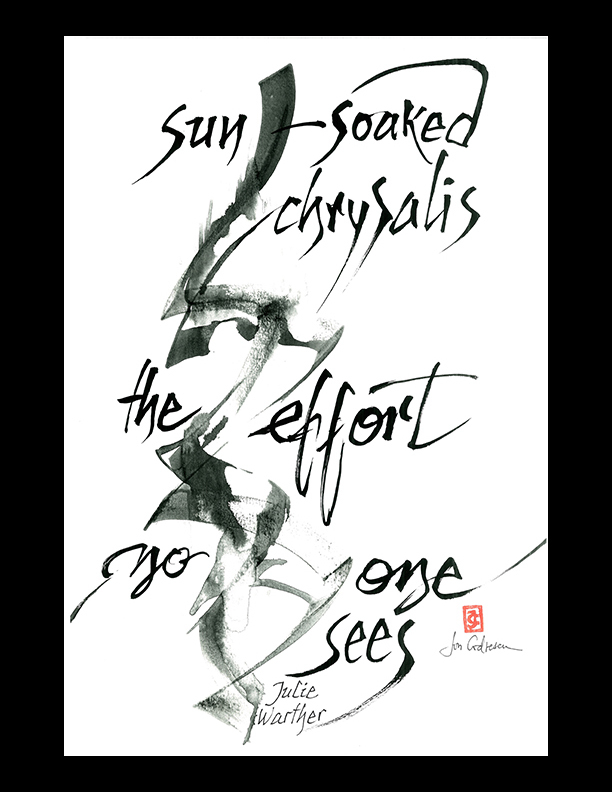 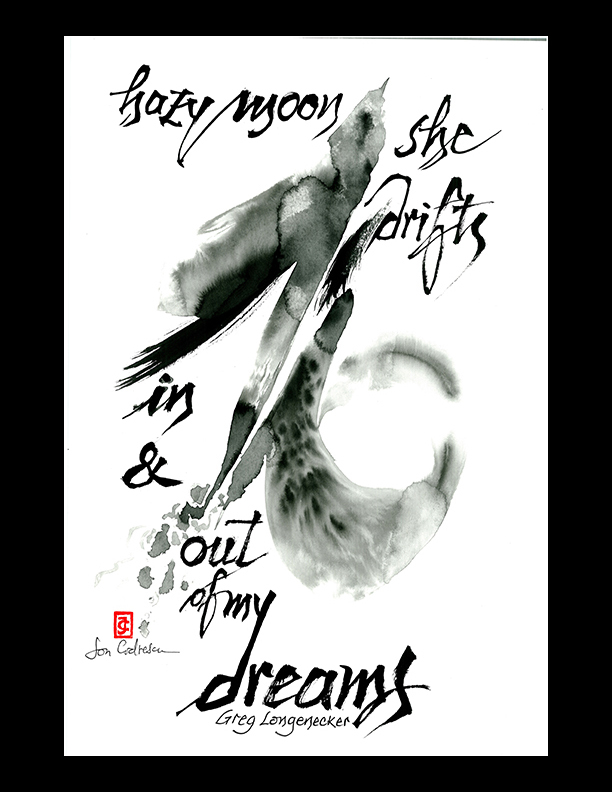 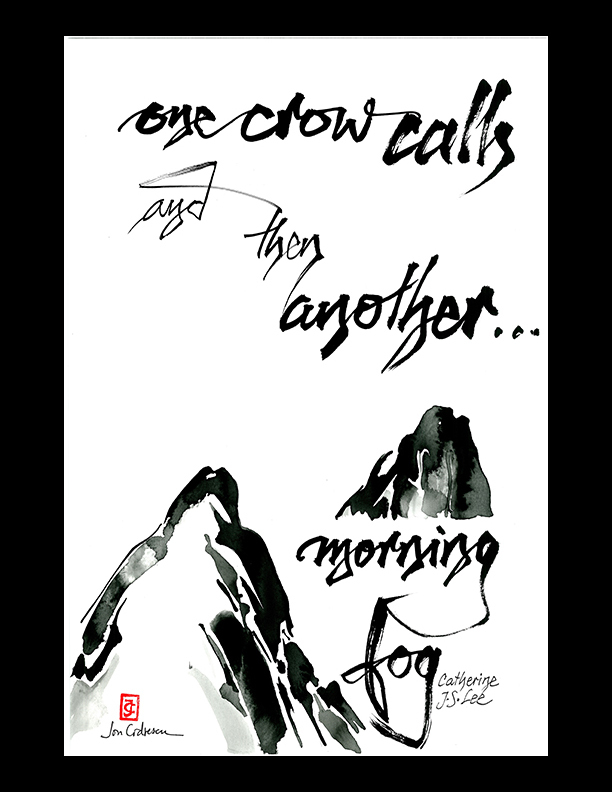 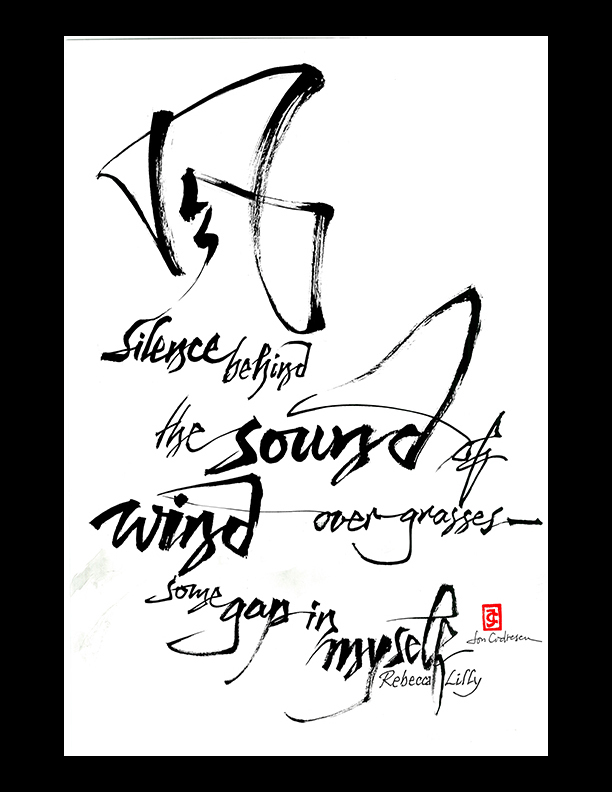 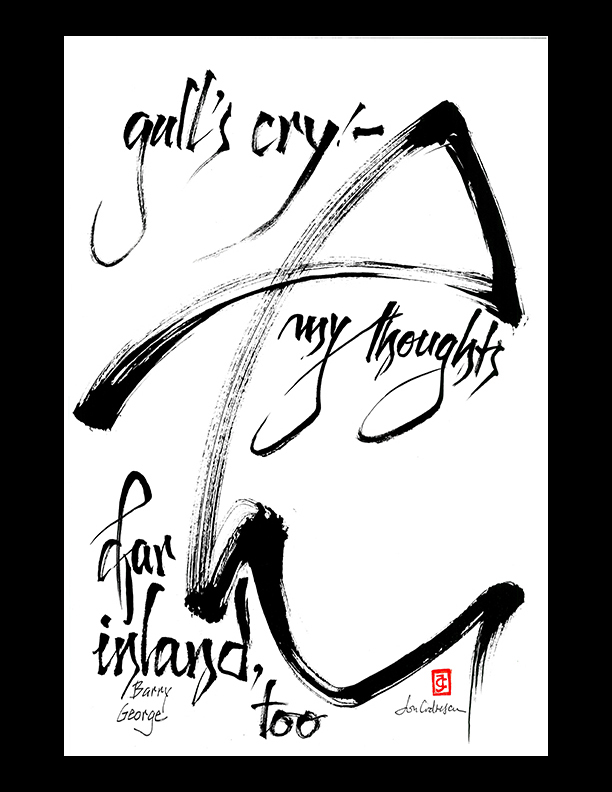 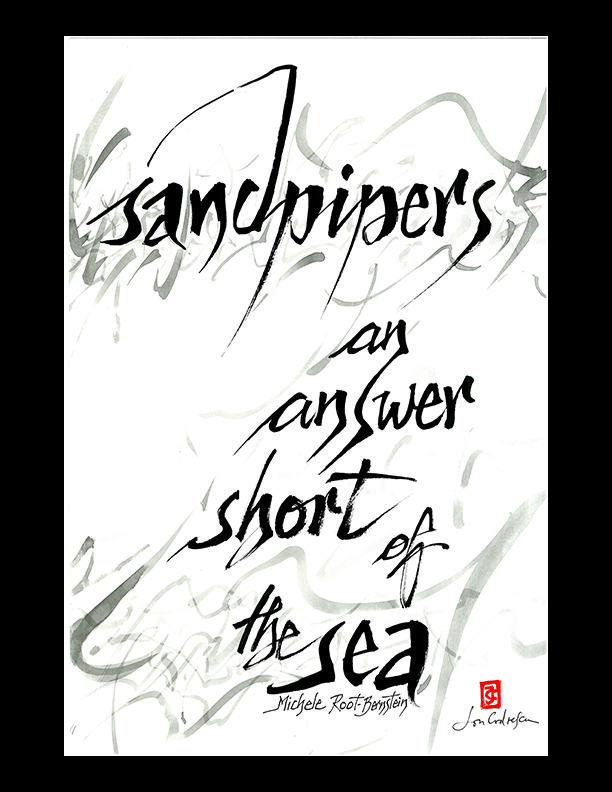 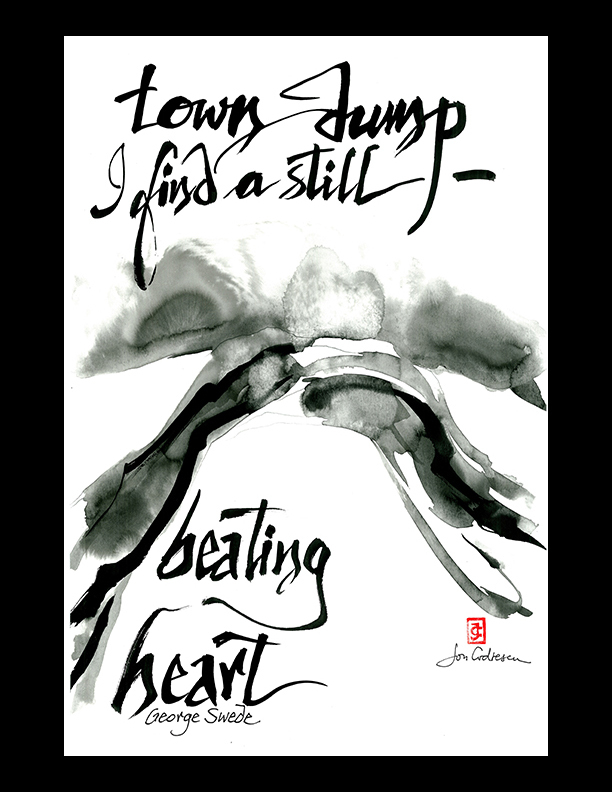 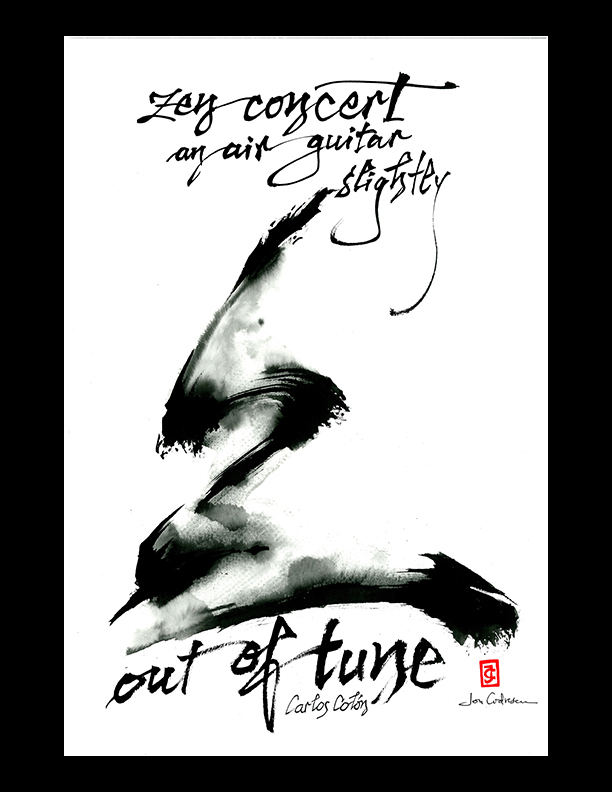 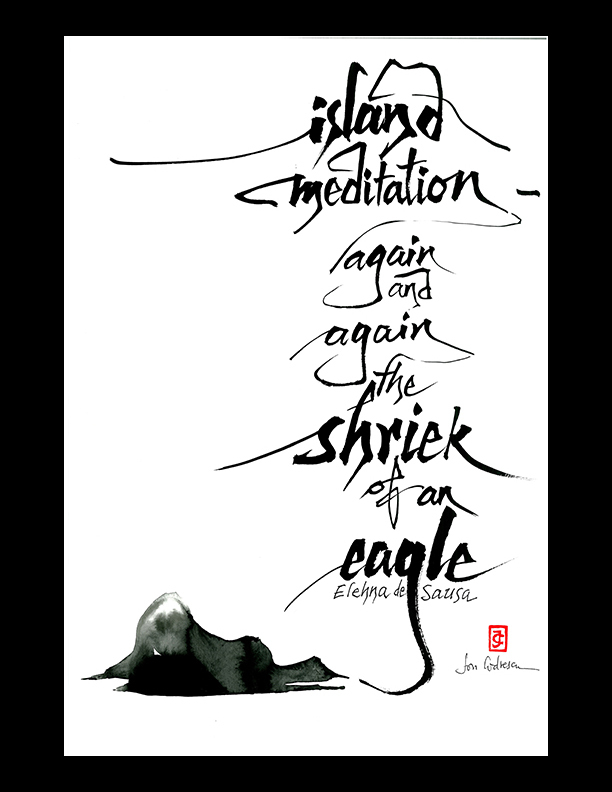 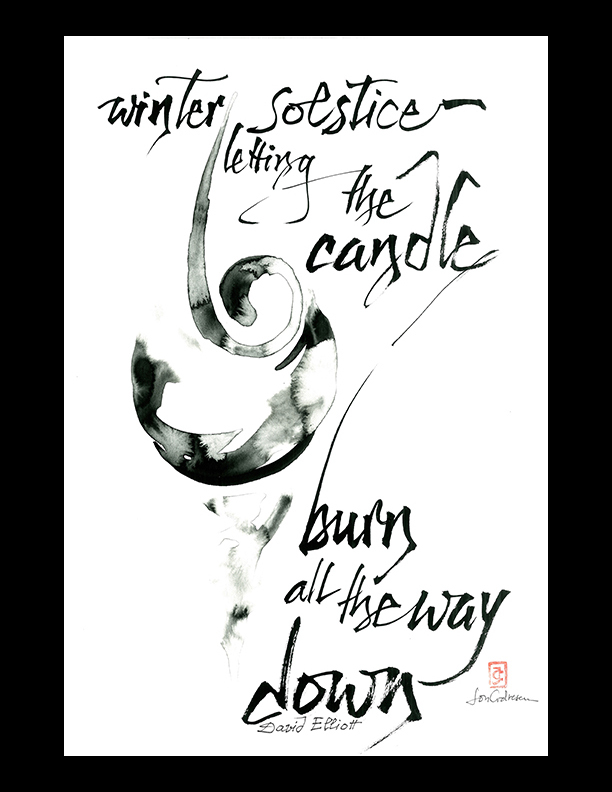 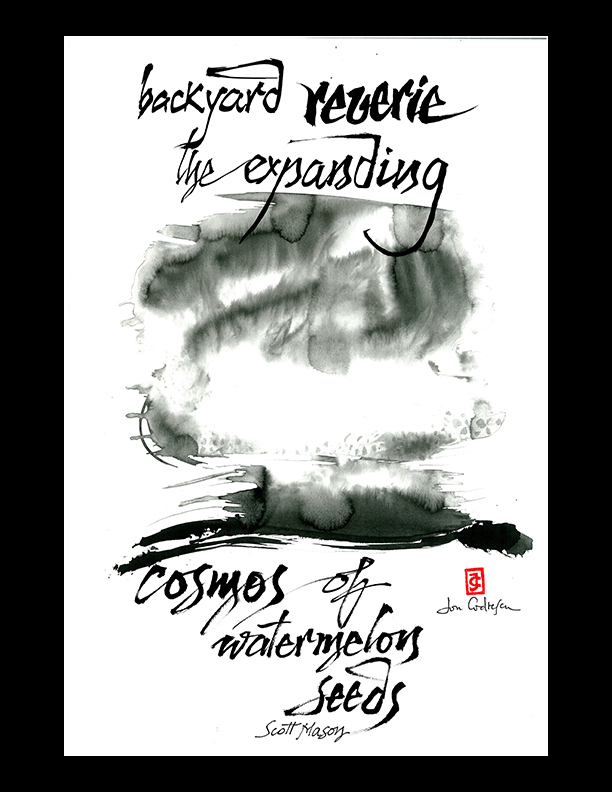 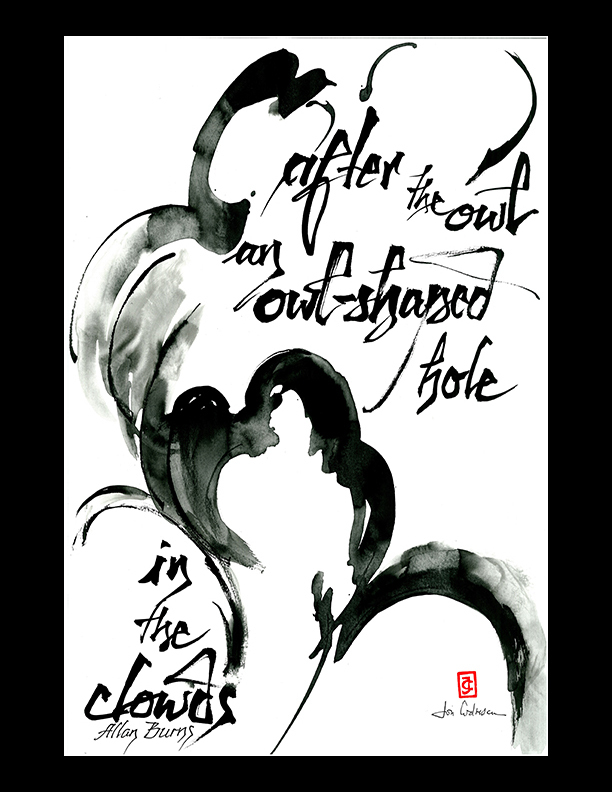 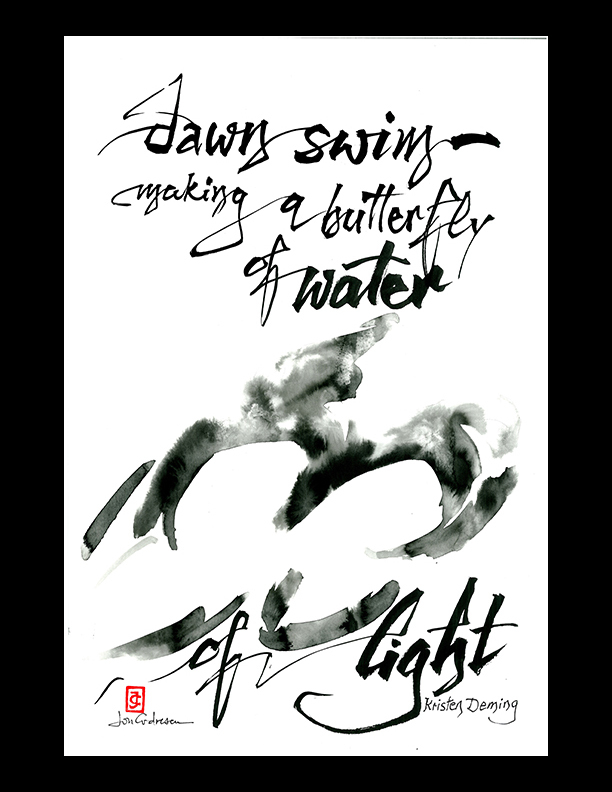 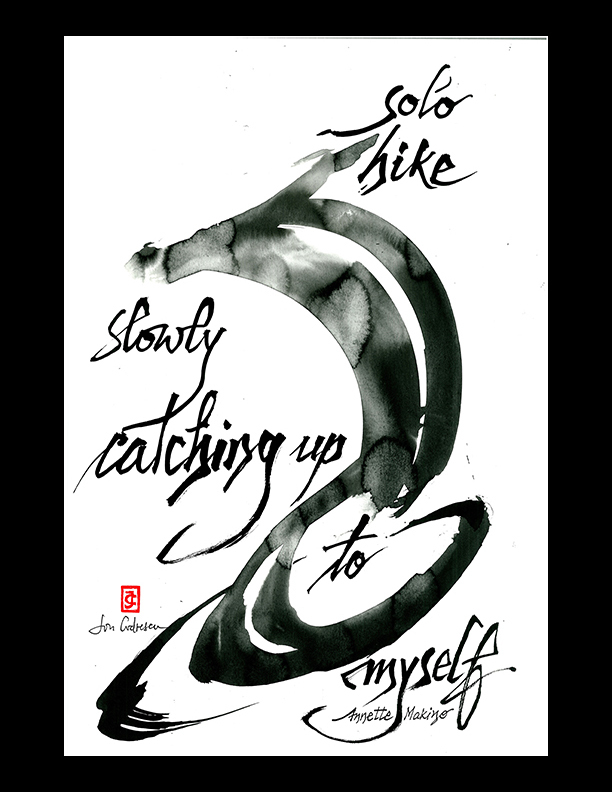 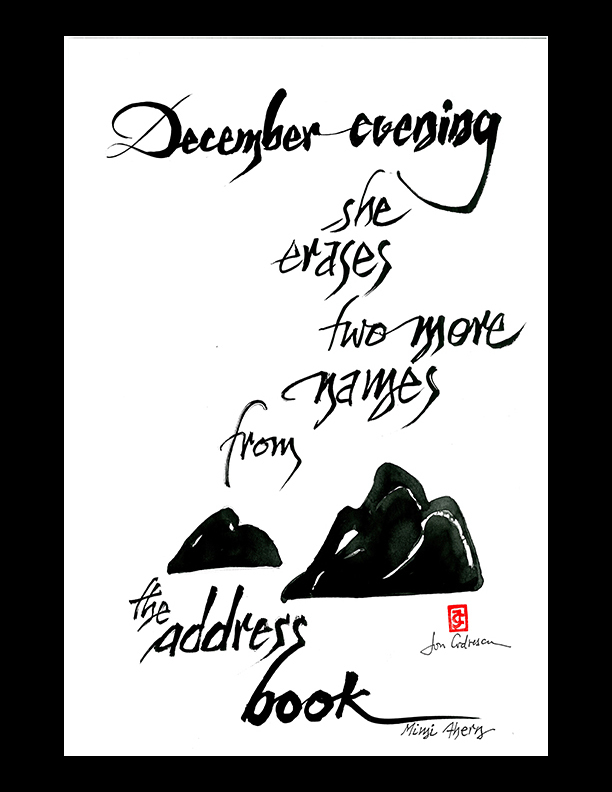 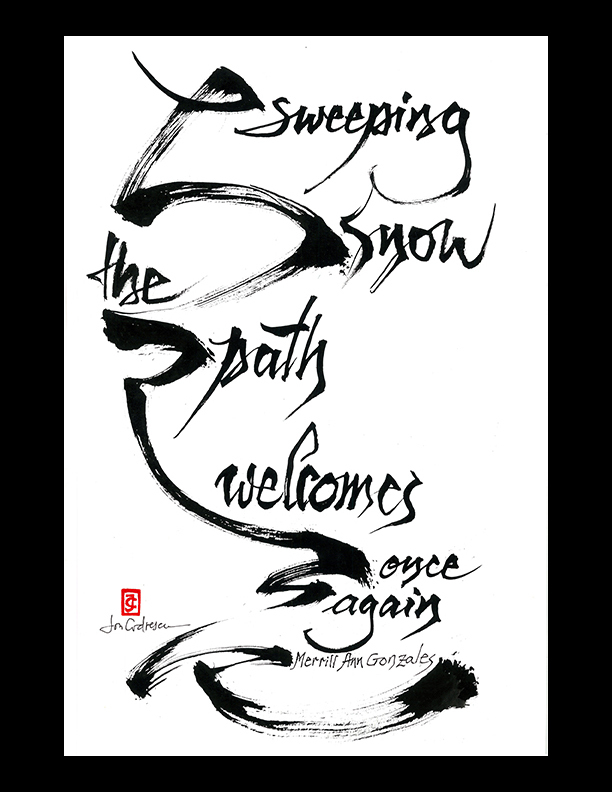 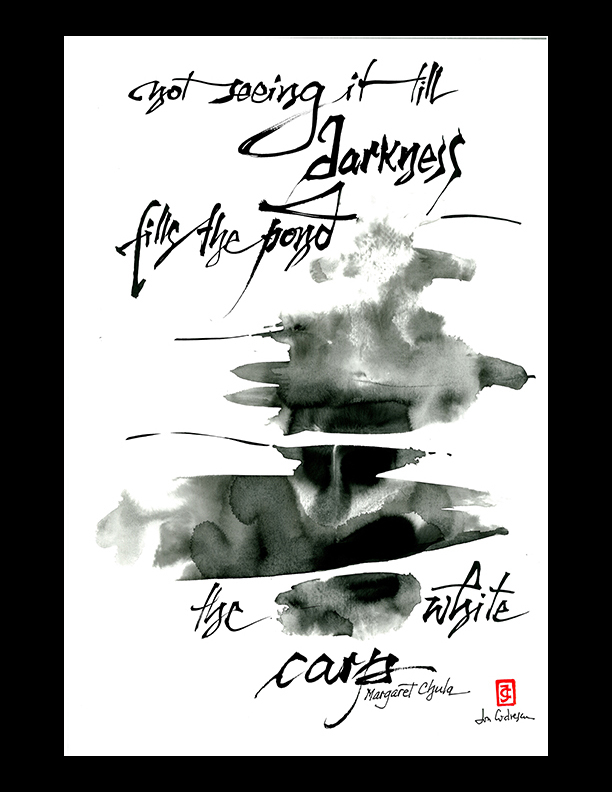 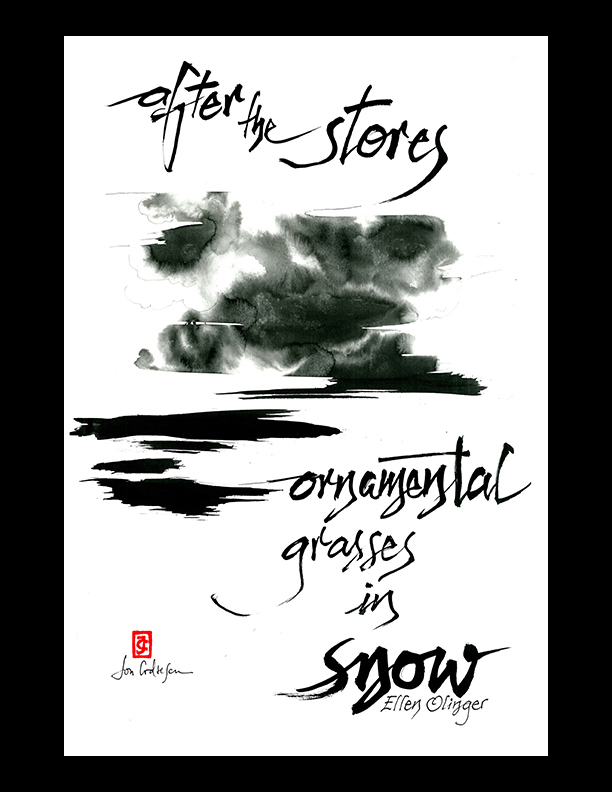 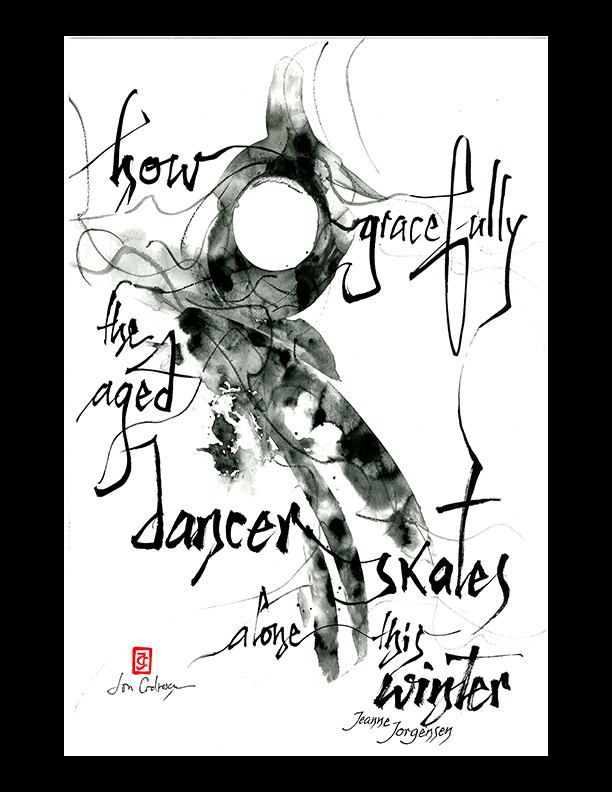 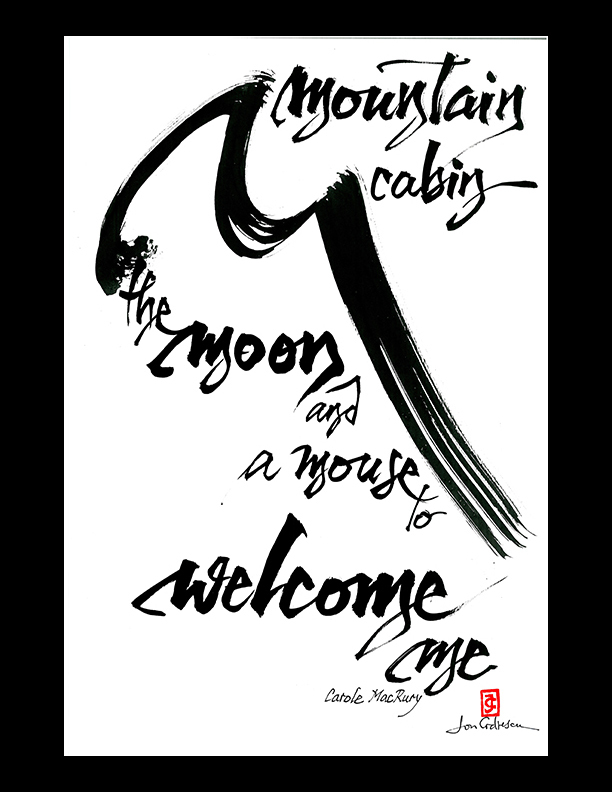 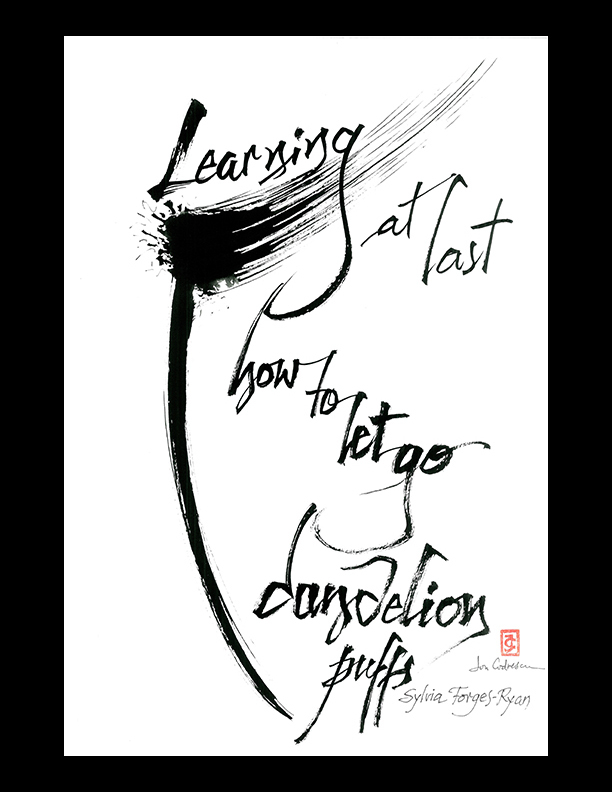 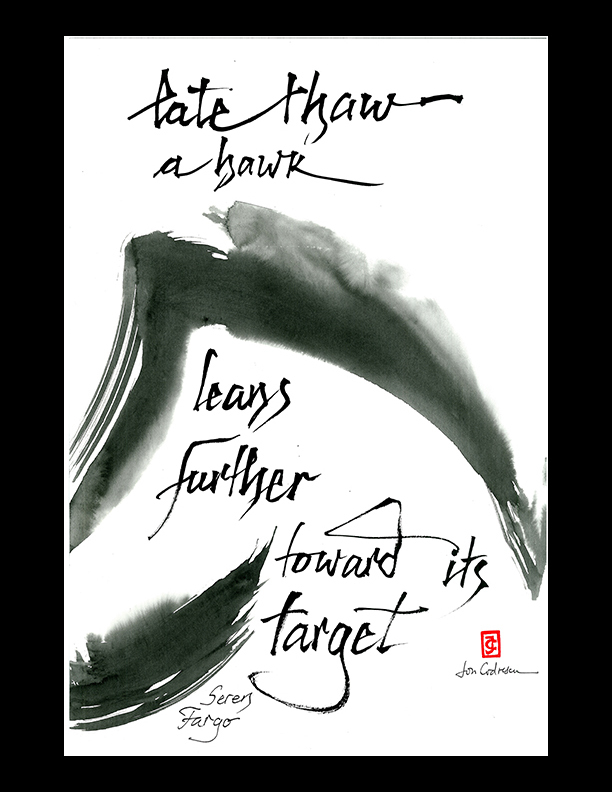 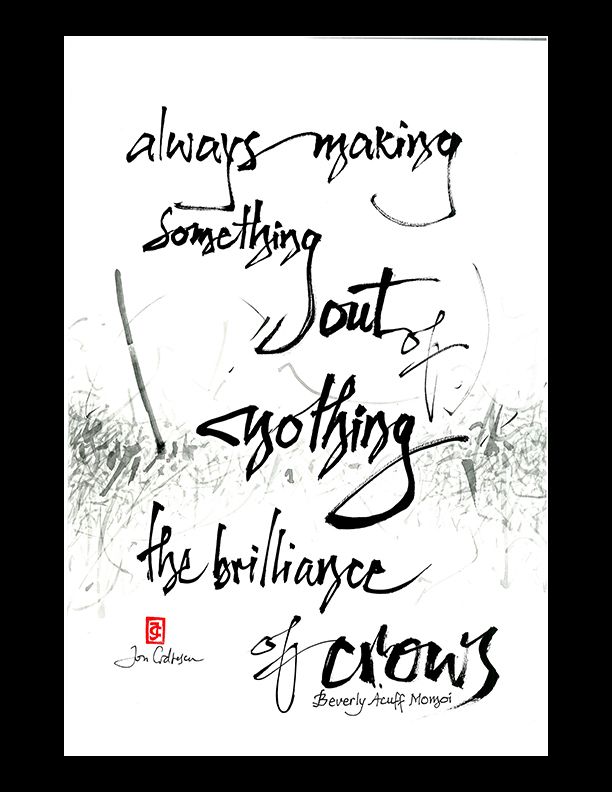 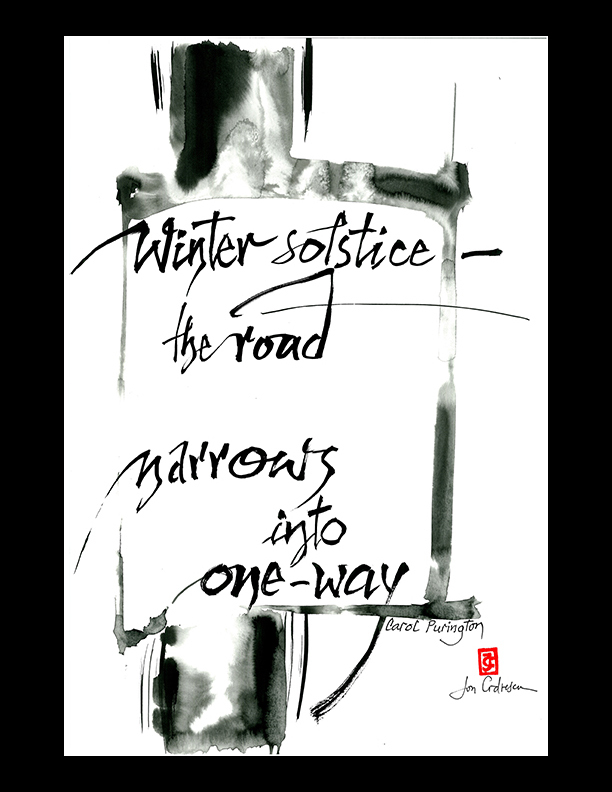 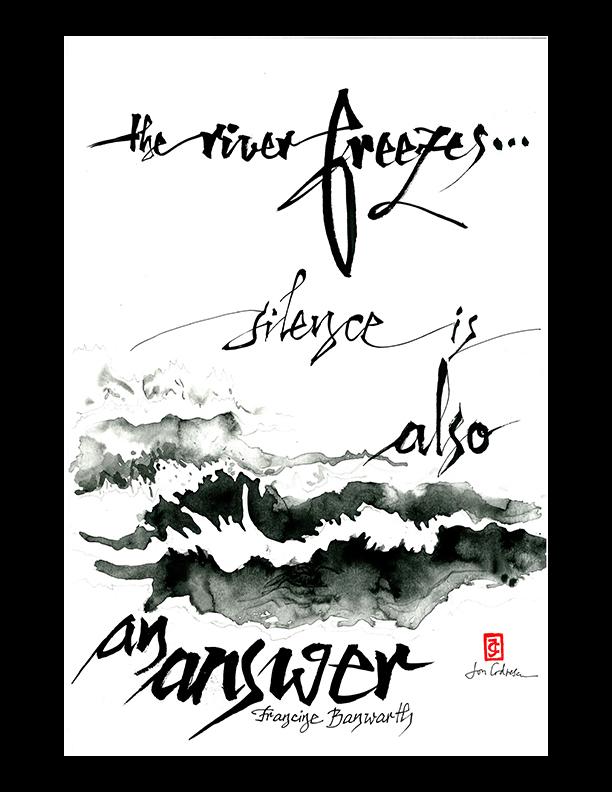 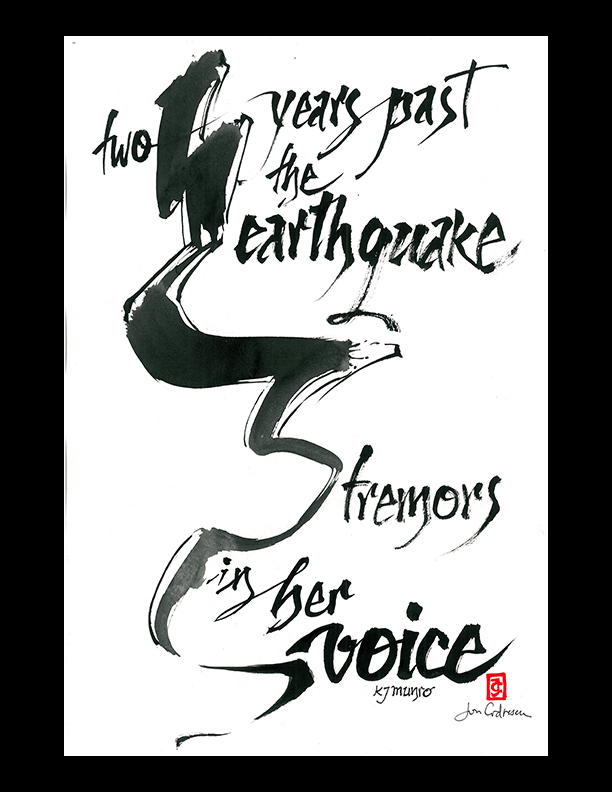 The Haiku Foundation honors the work of contemporary masters of the dual art of haiga: visual image wedded to haiku. 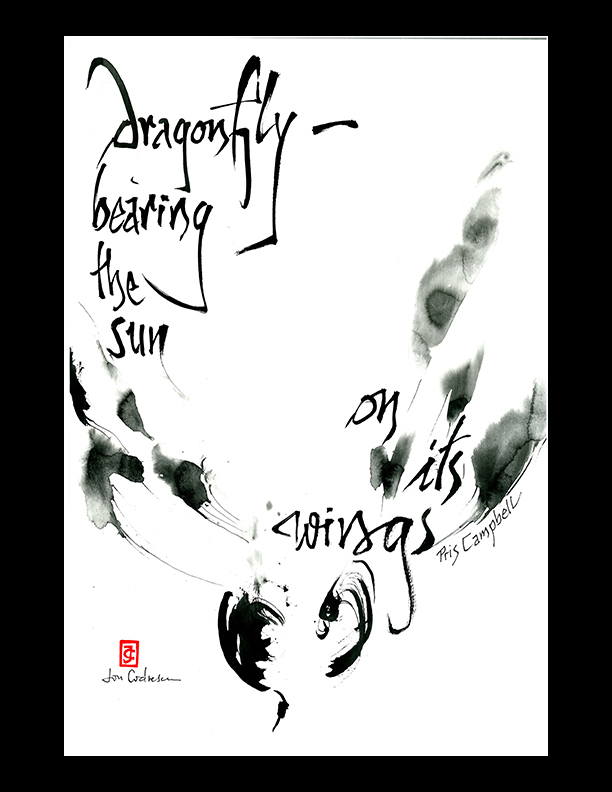 This month’s featured artist is Ion Codrescu. 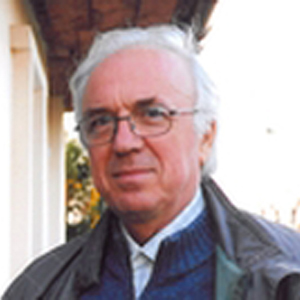 Ion Codrescu lives in Constanţa, Romania. 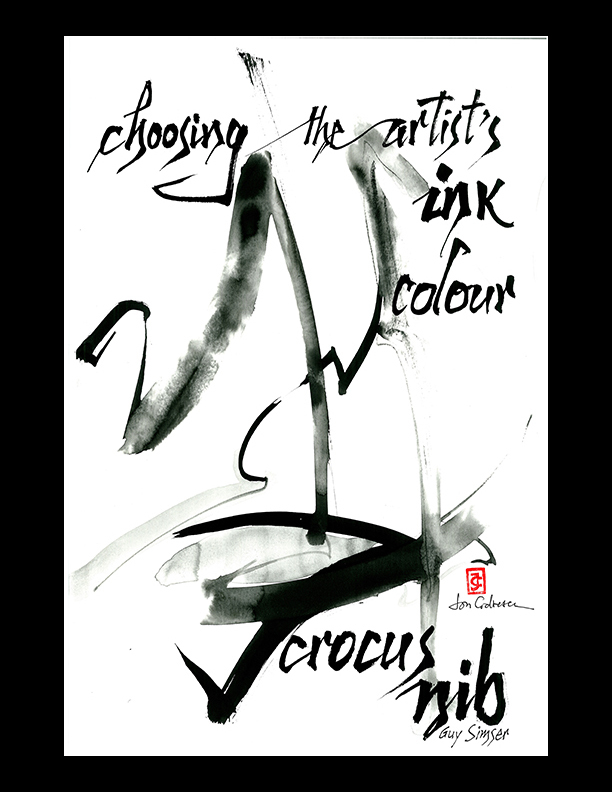 He teaches graphic arts in an art school and history of art at Ovidius University in Constanţa, as an associate professor. 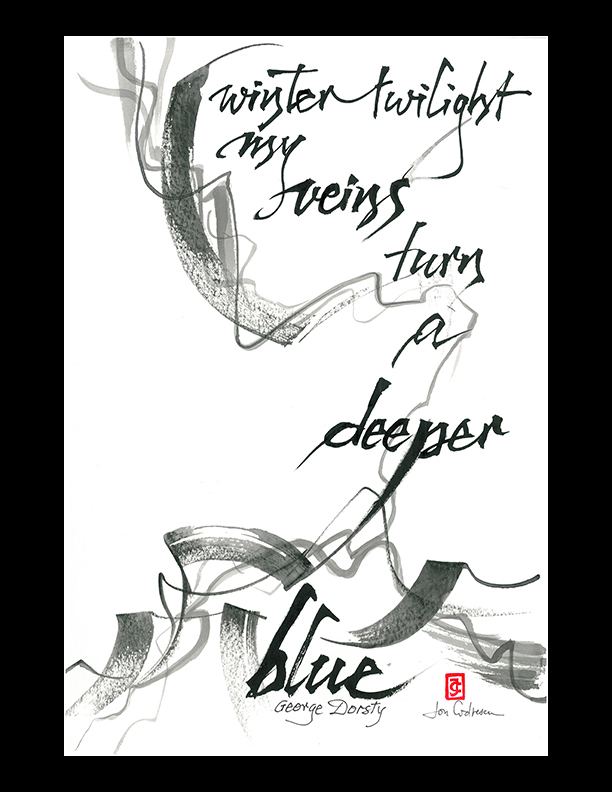 Art and poetry are two paths of his life. 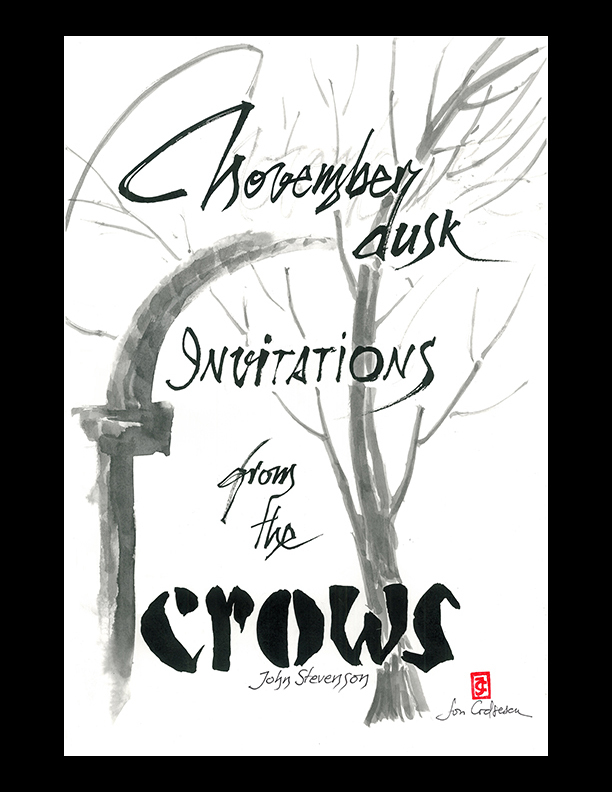 In 1992 he founded the Constanţa Haiku Society and the Albatross haiku journal, which he published as its editor for a decade. 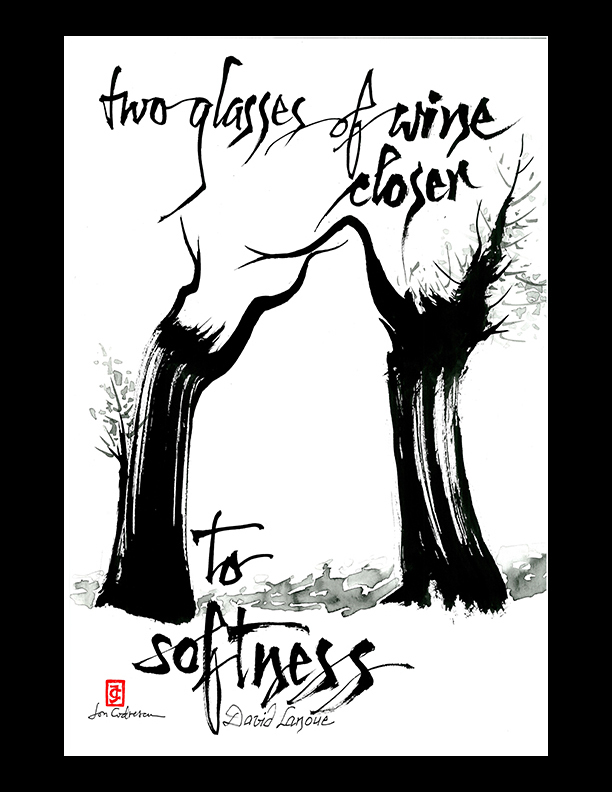 In 1992 and 1994 he organized the Constanţa International Haiku Festival. 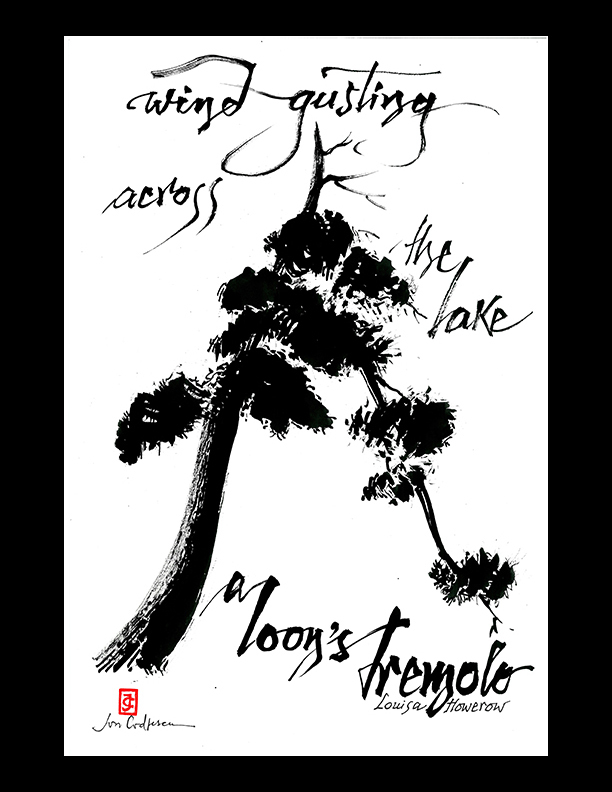 Between 2004 and 2007 he edited and published the international haiku journal Hermitage. 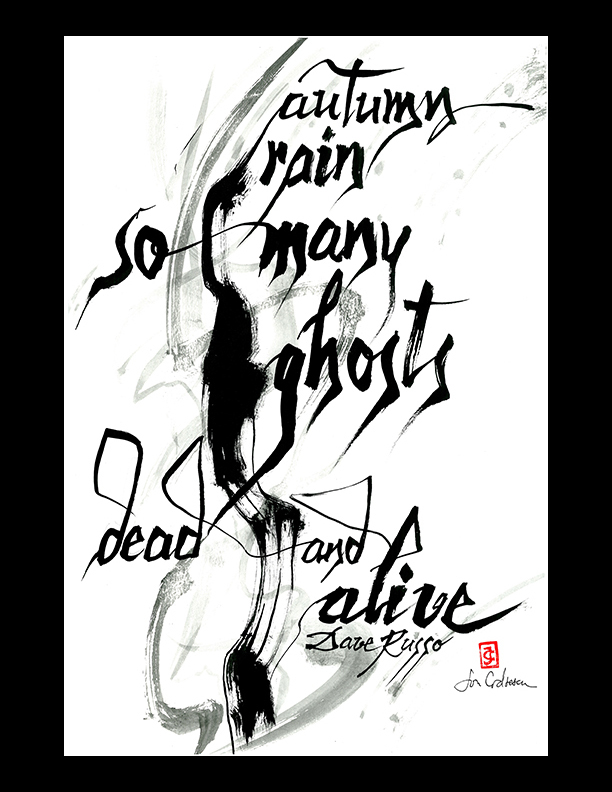 In 2007 he received his Ph.D. in Visual Arts from the National University of Arts in Bucharest with a thesis on “Image and Text in Japanese and Western Haiga Painting.” He is the author of thirteen books of poetry, haiga and essays published in Romania, France, Great Britain, the Netherlands, and Slovenia. 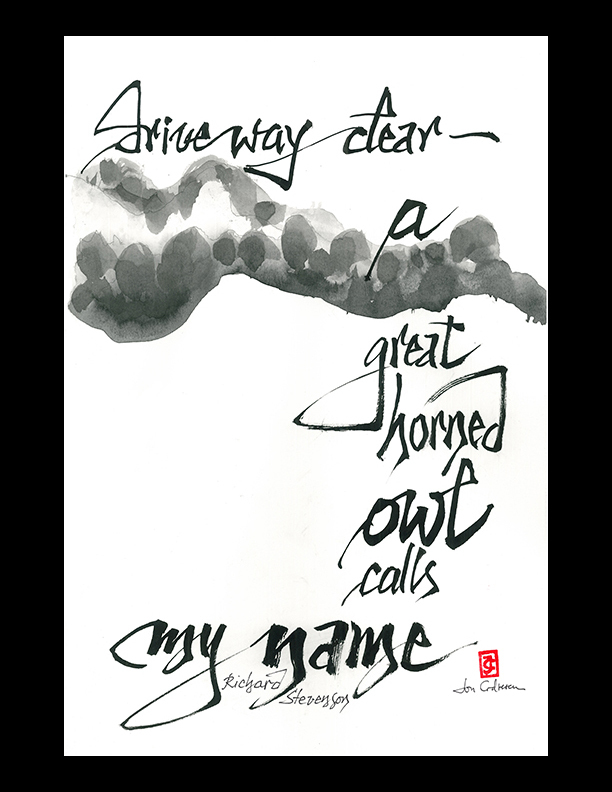 His poems, poetic prose and essays have received many prizes in Great Britain, Japan, Serbia and Montenegro, Romania, Bulgaria, France, and the USA, and have been published in 19 other countries. 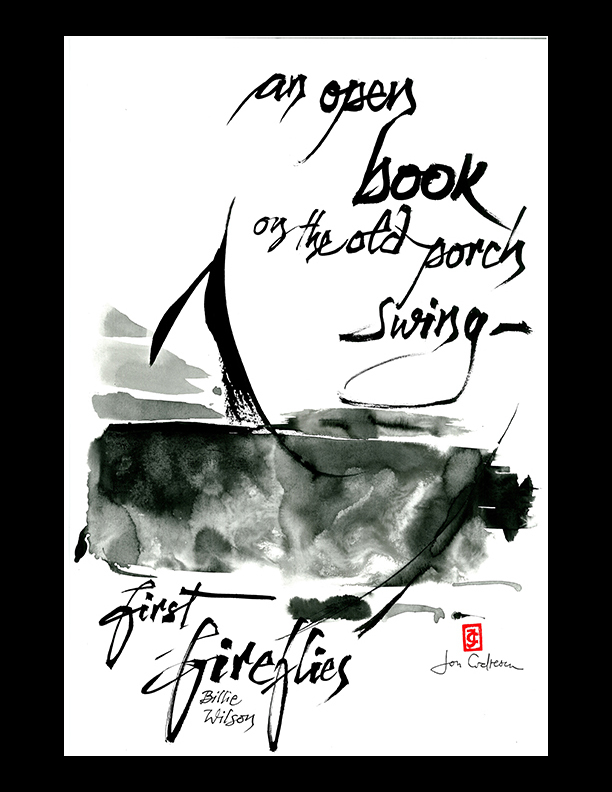 As an artist he has illustrated more than 100 books, magazines and journals. 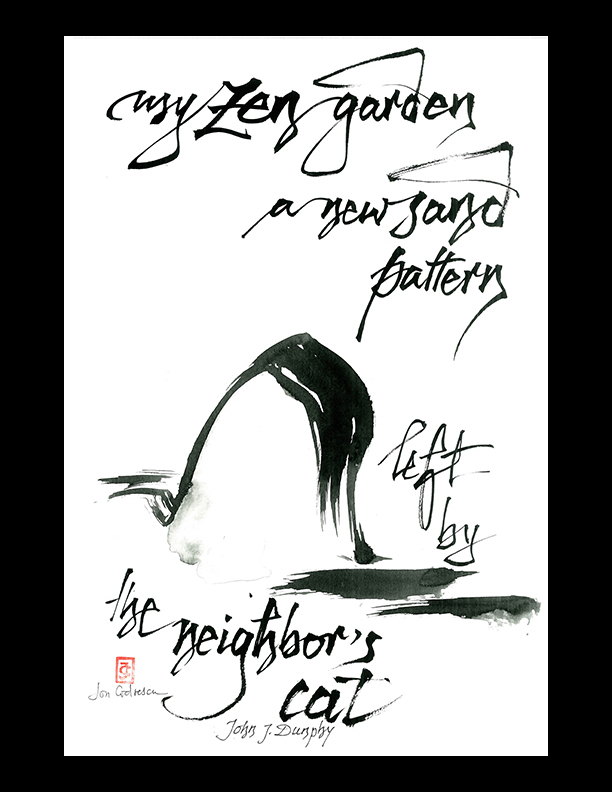 His paintings are housed in private and state collections (Setagaya Art Museum and Gunma Prefectural Museum, Japan) from many countries. 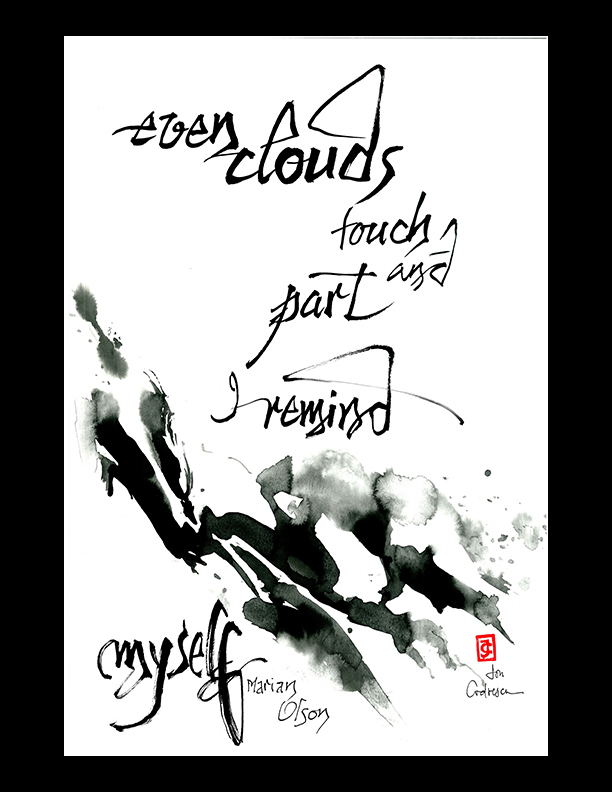 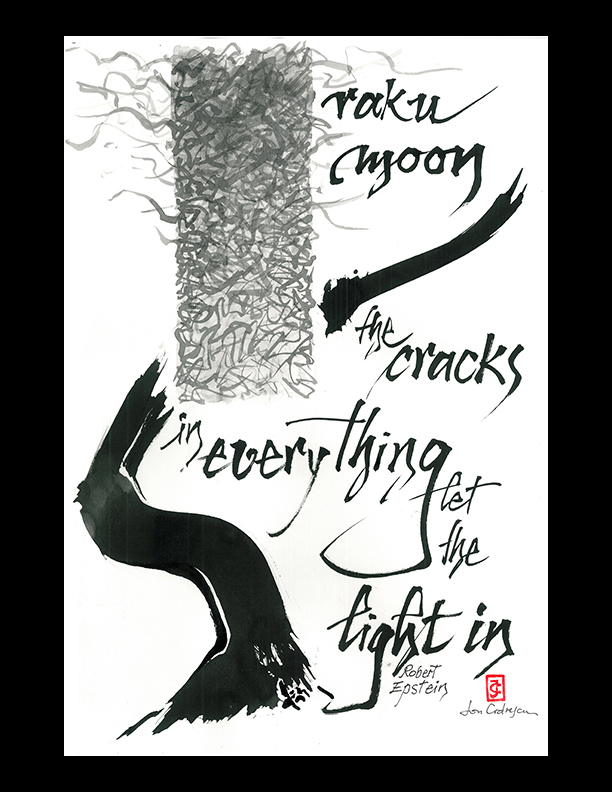 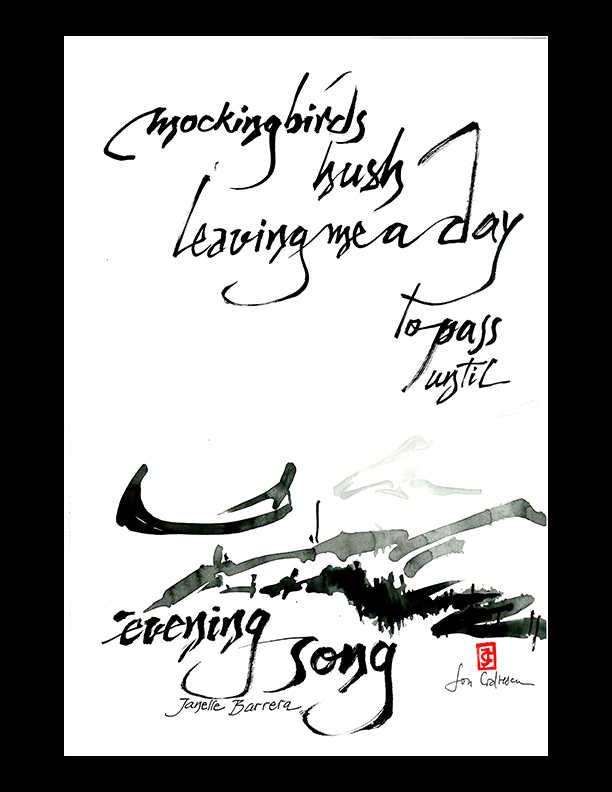 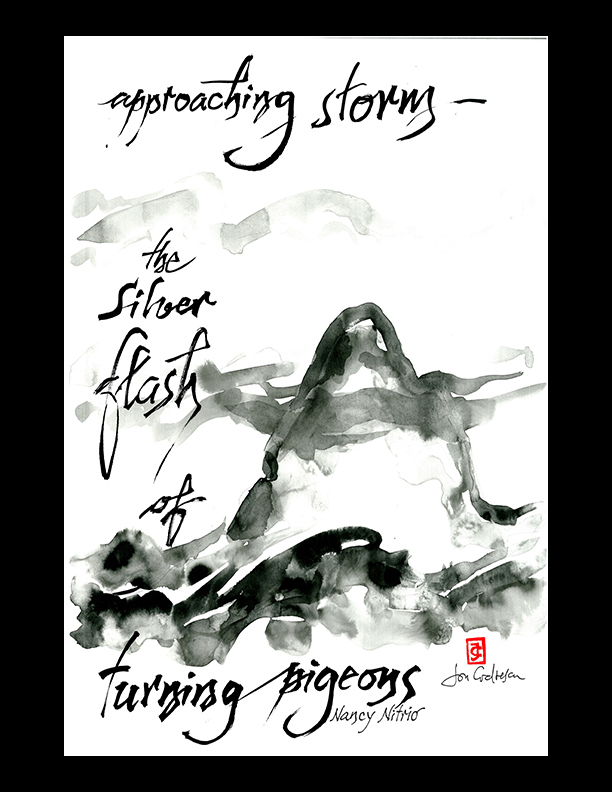 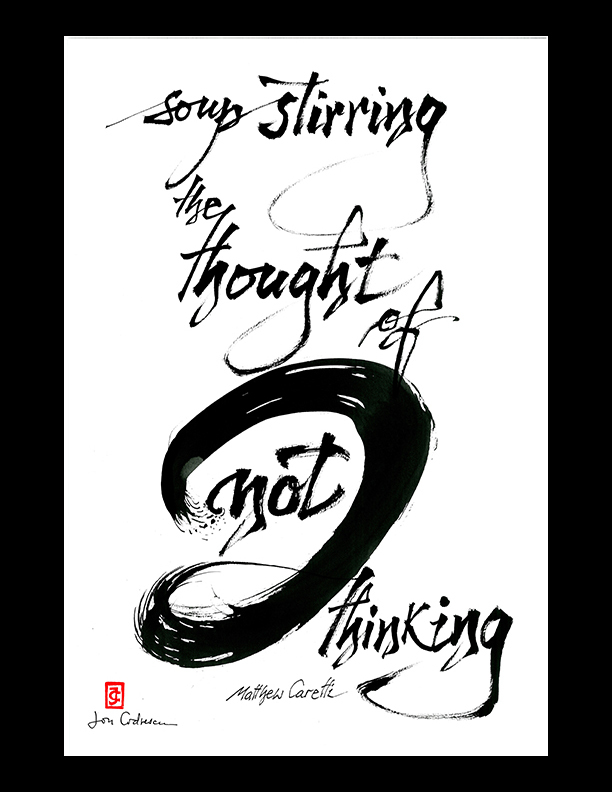 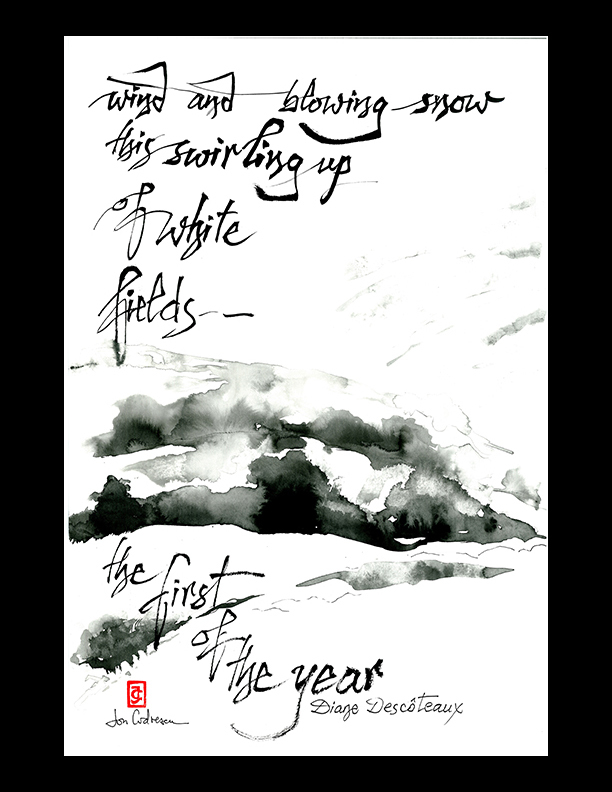 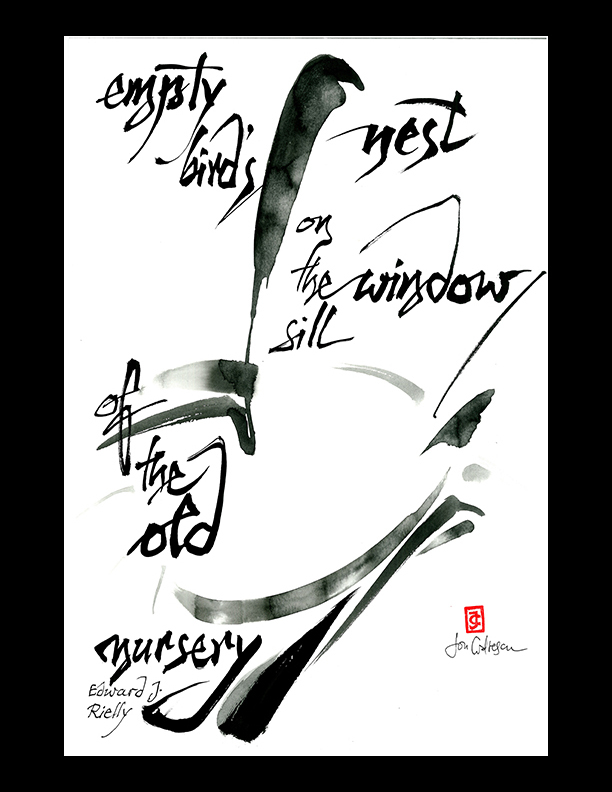 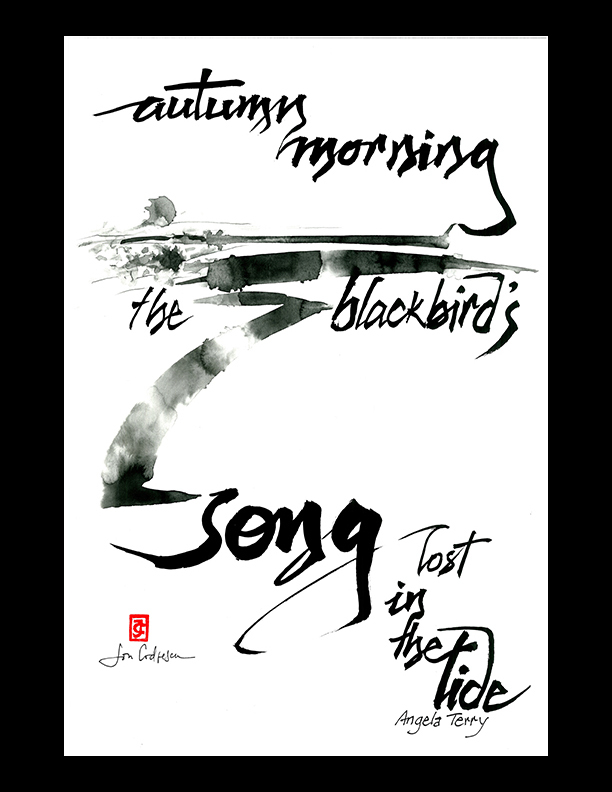 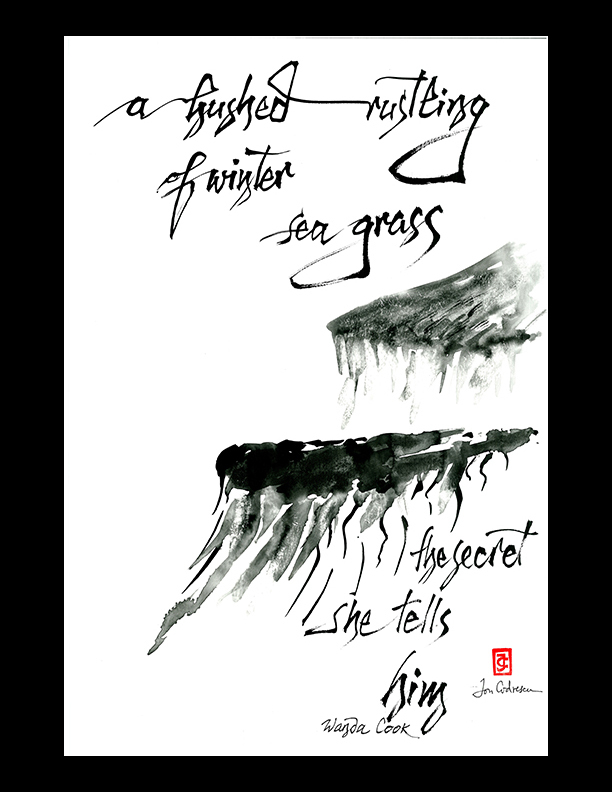 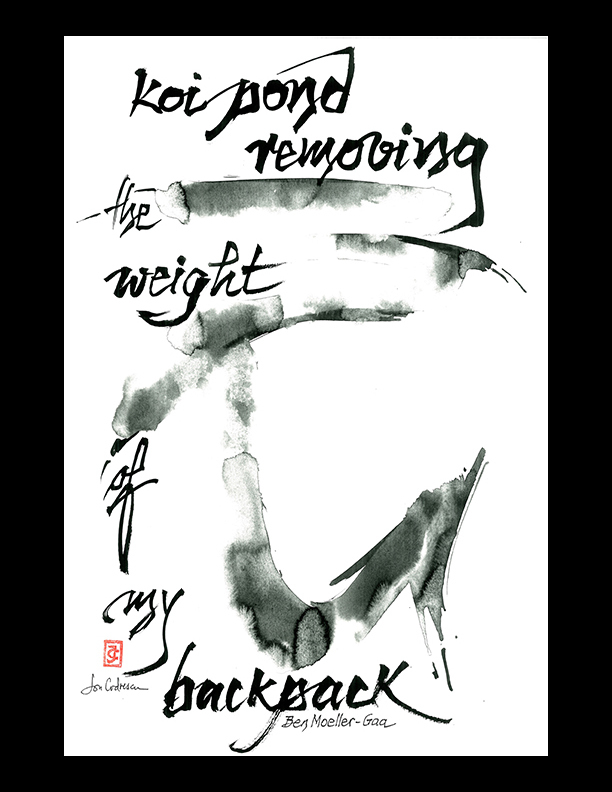 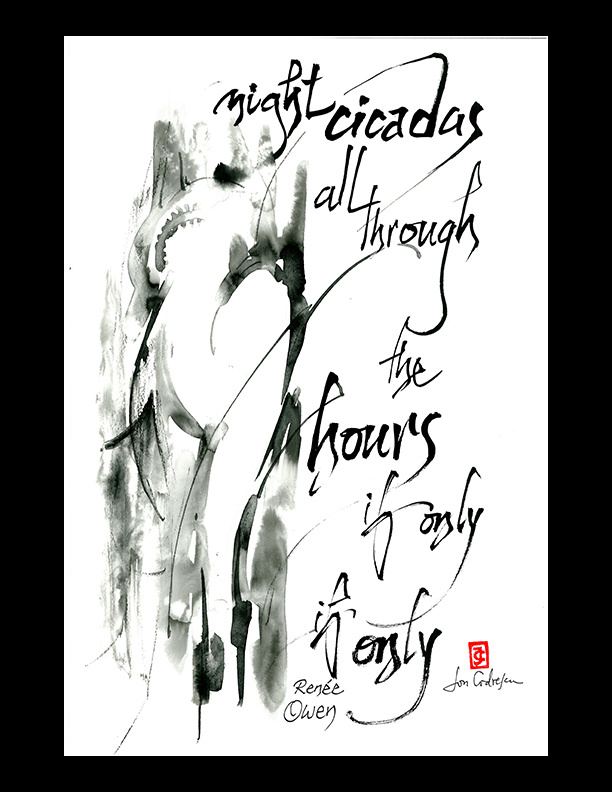 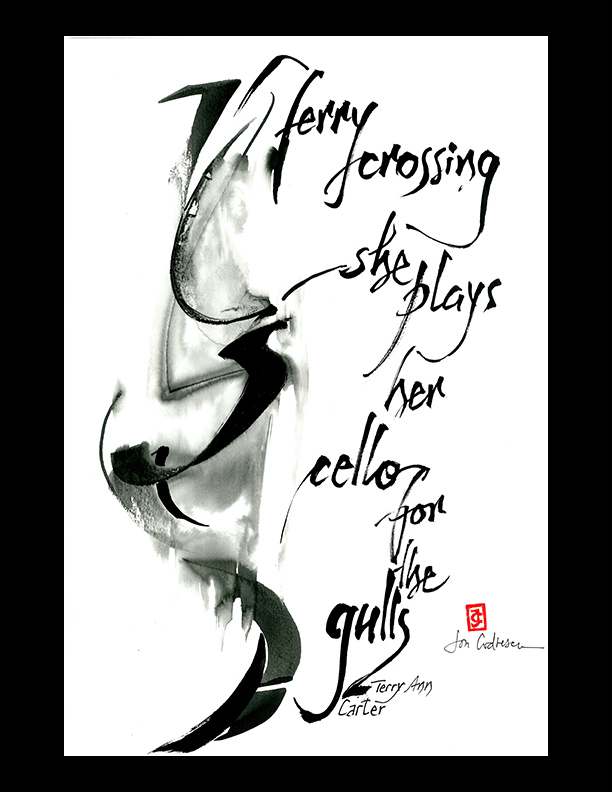 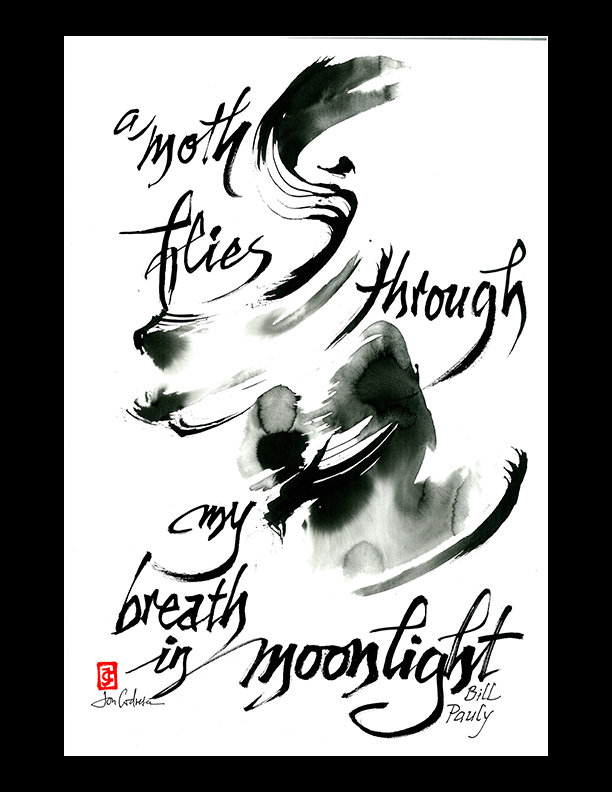 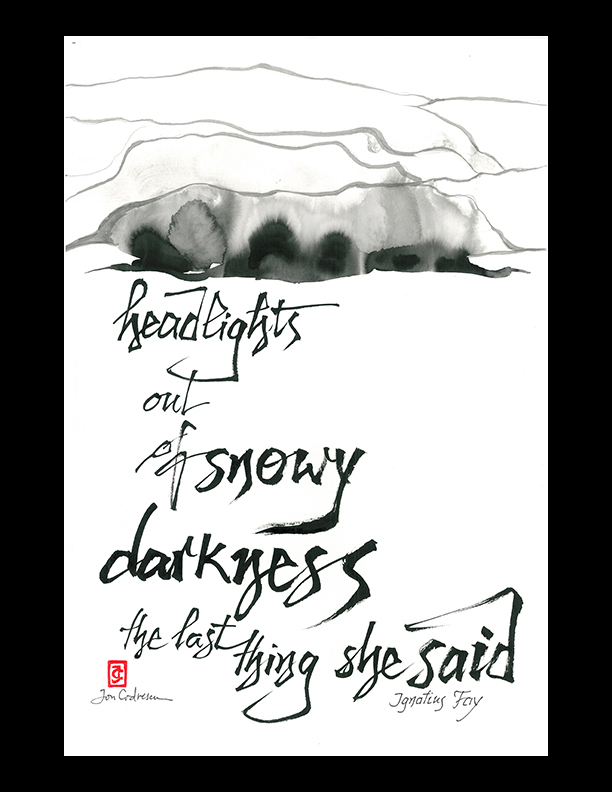 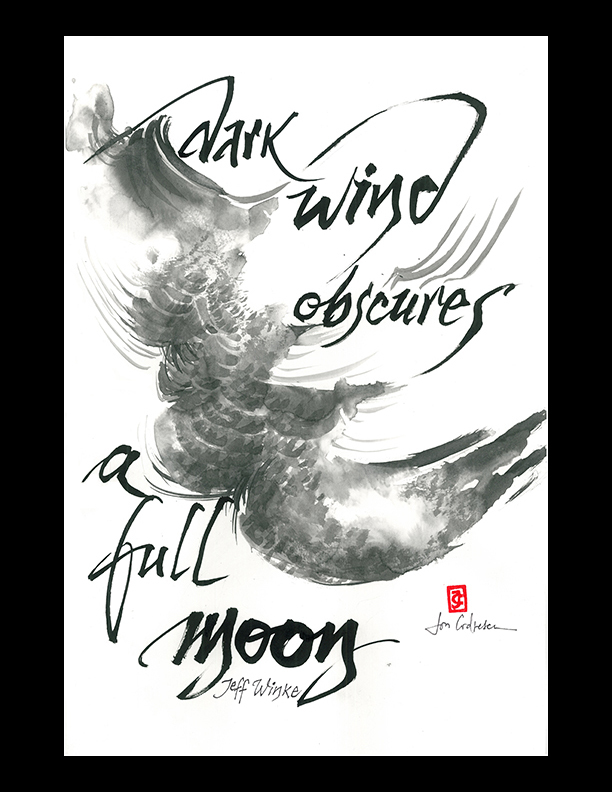 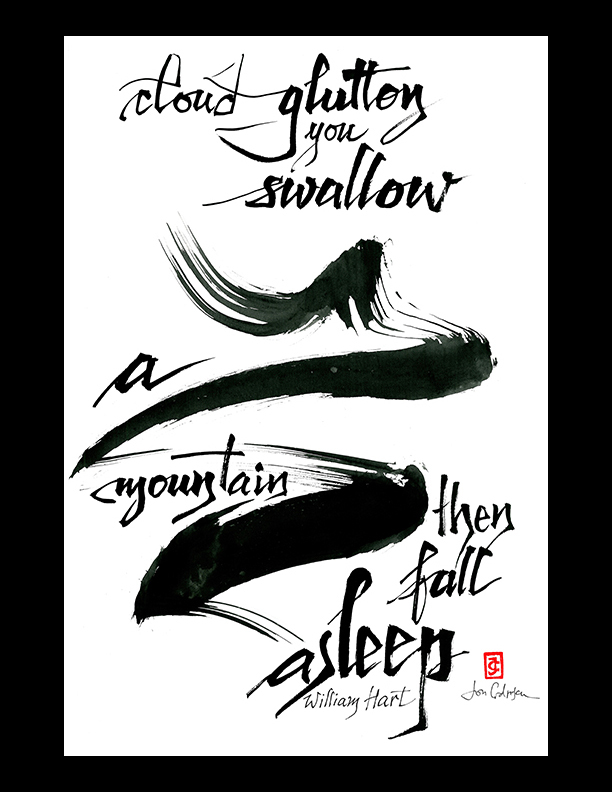 All the works in this gallery were created for the book Something Out of Nothing: Original Haiku of North American Poets, Interpreted by Ion Codrescu (Winchester VA: Red Moon Press 2015, ISBN 978-1-936848-35-5). 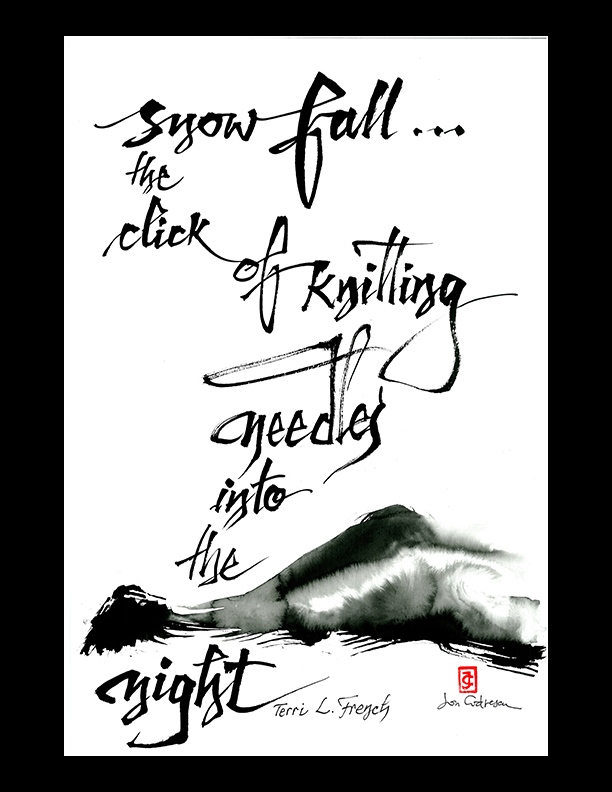 snow fall . 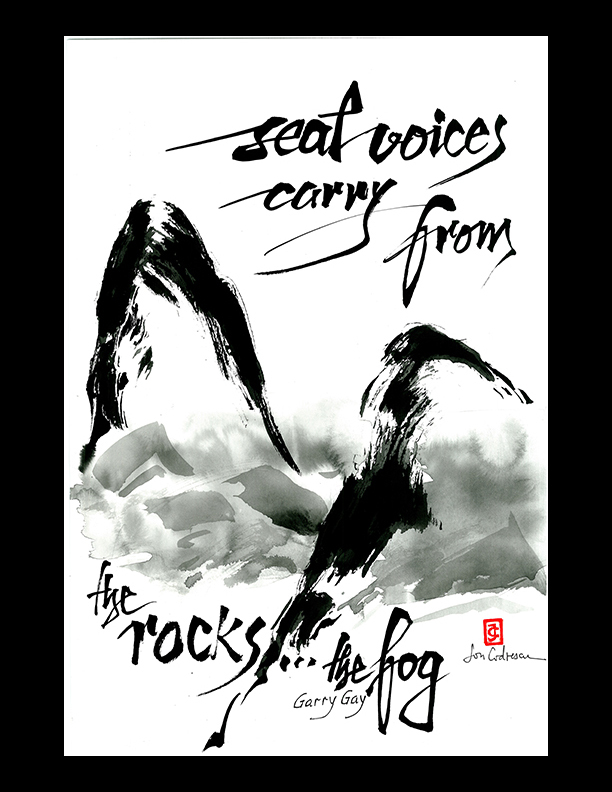 . .
carry from the rocks . . .